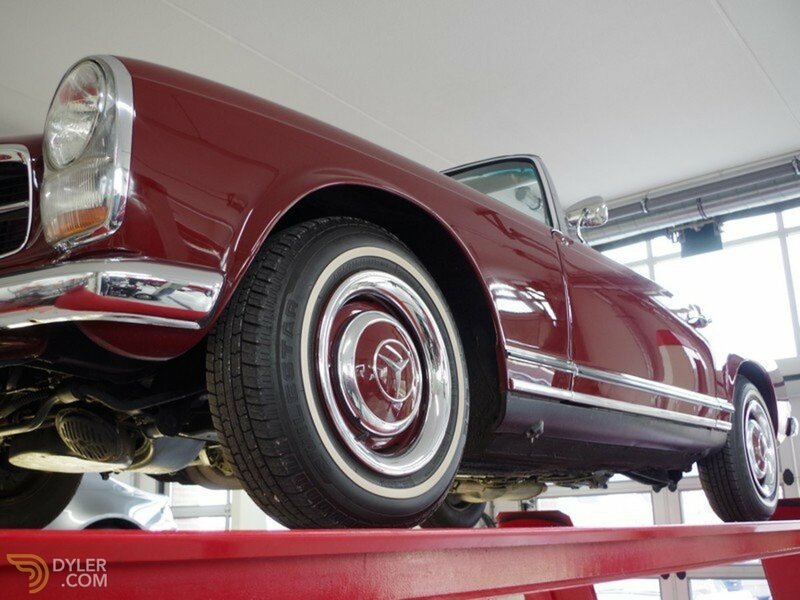 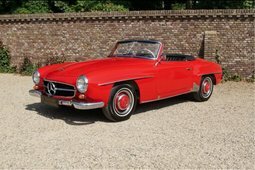 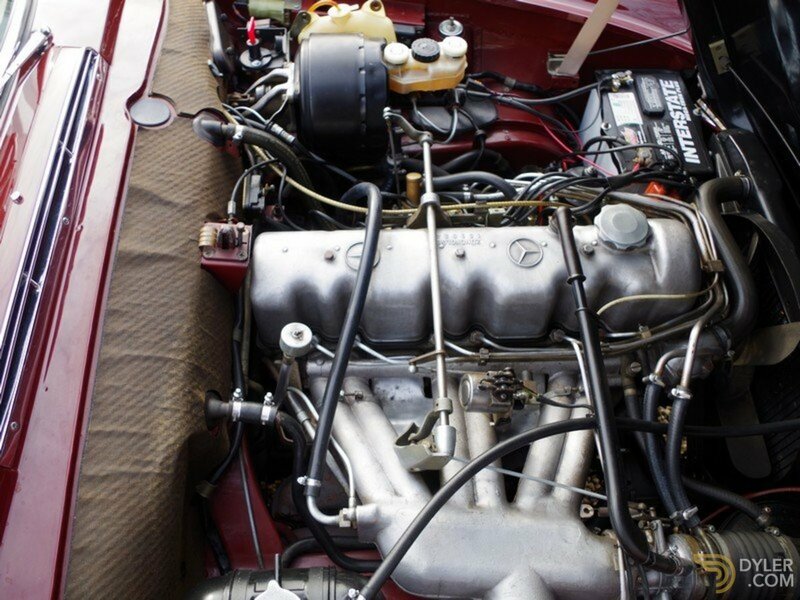 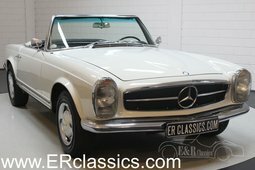 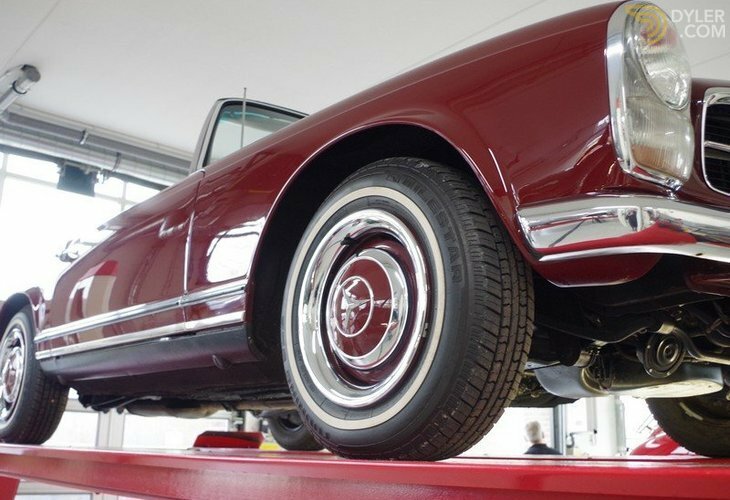 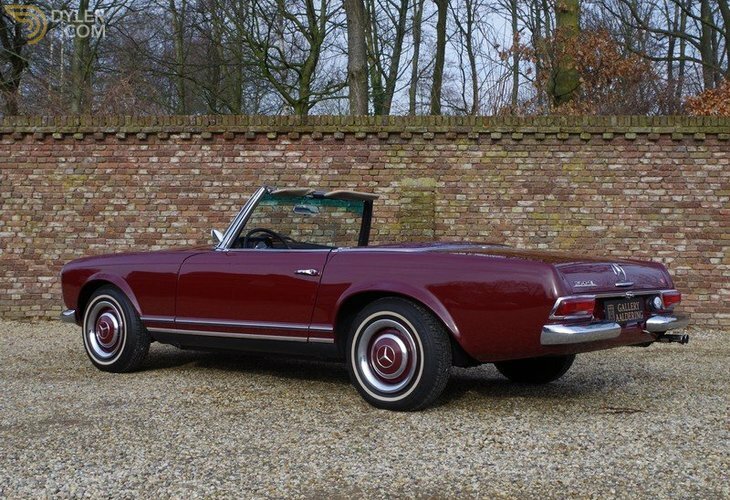 A stunning 1967 Mercedes Benz 250SL Pagoda, originally supplied by Mercedes Benz of Hollywood, California. 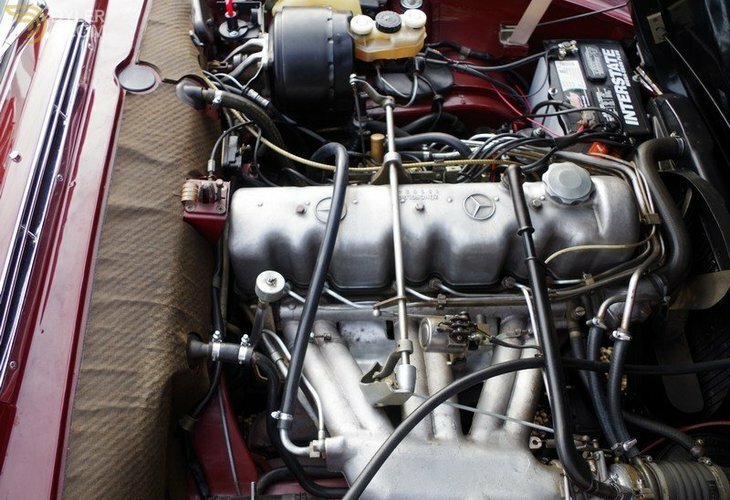 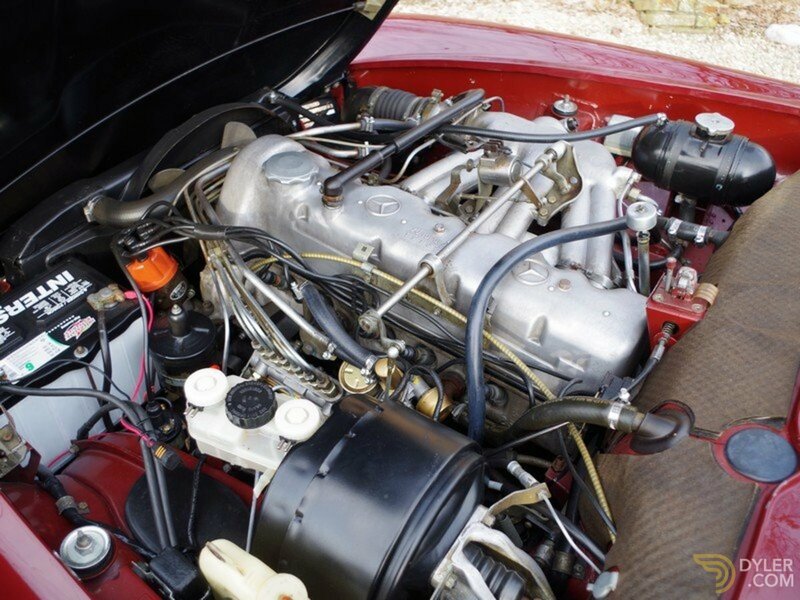 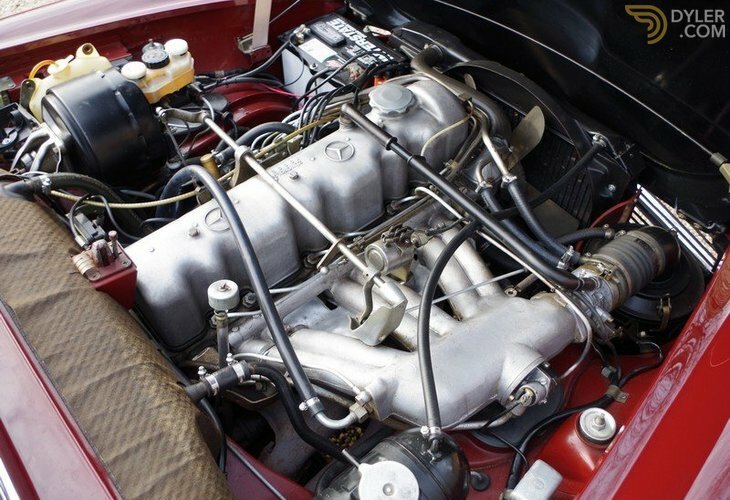 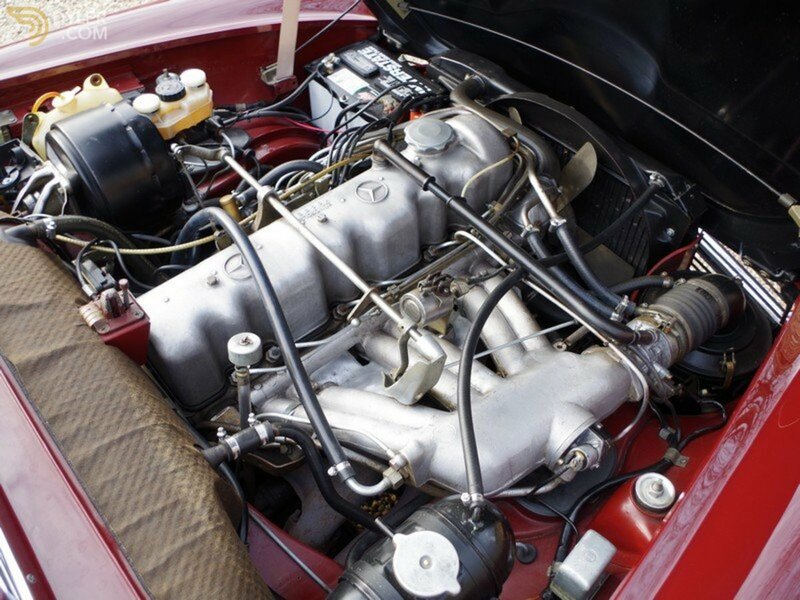 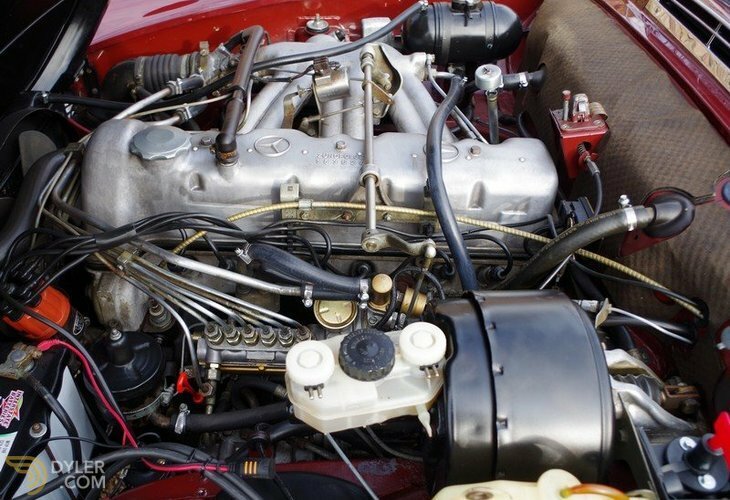 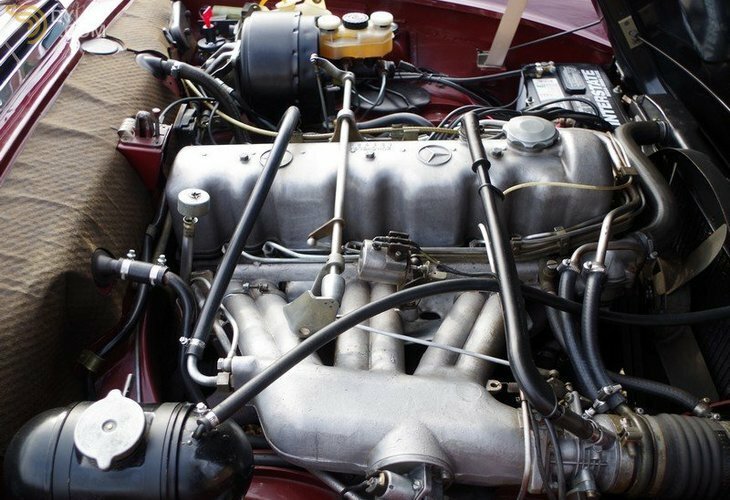 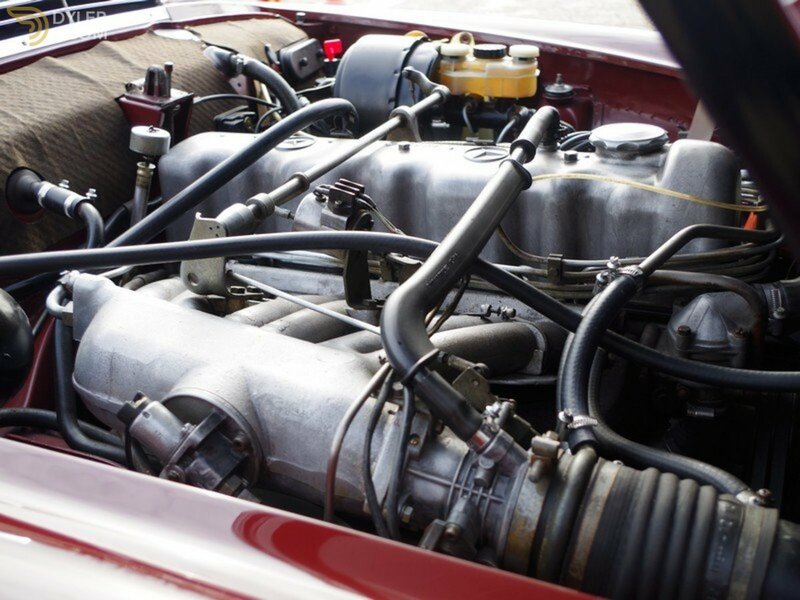 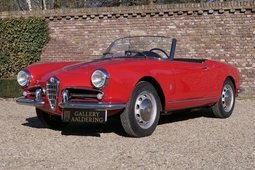 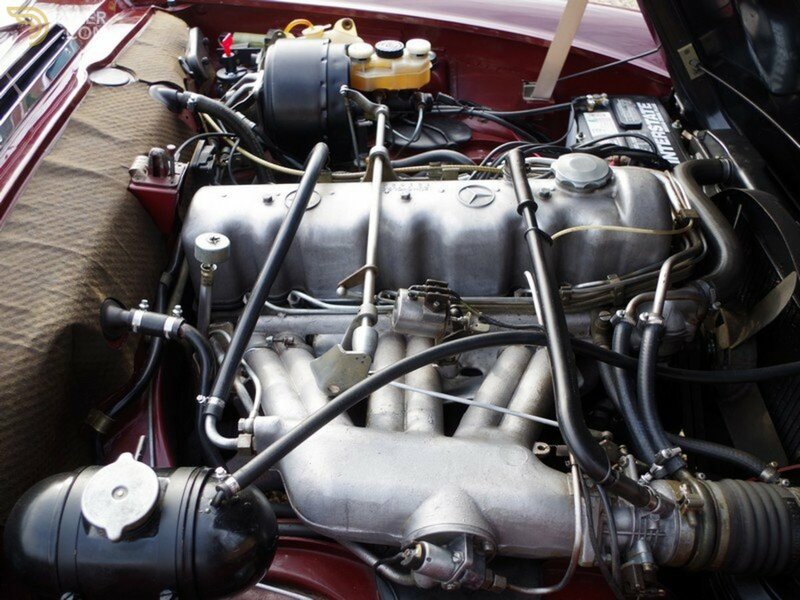 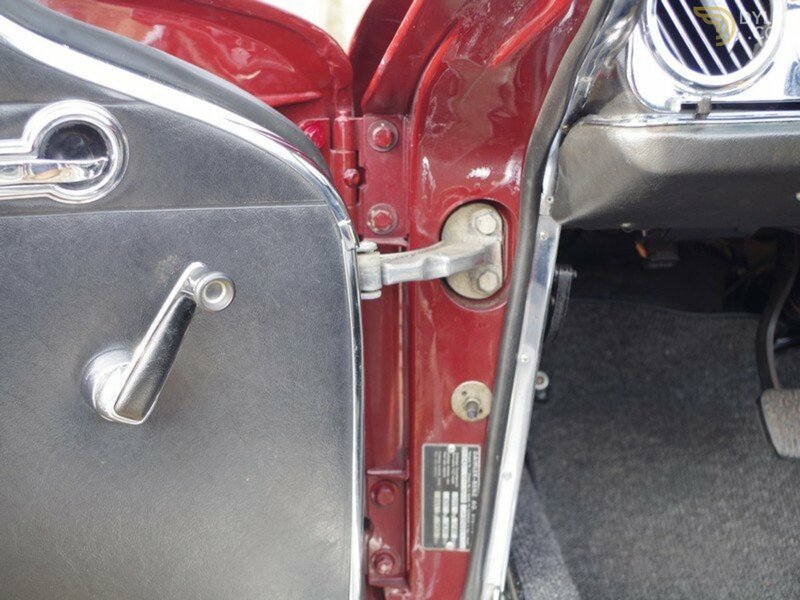 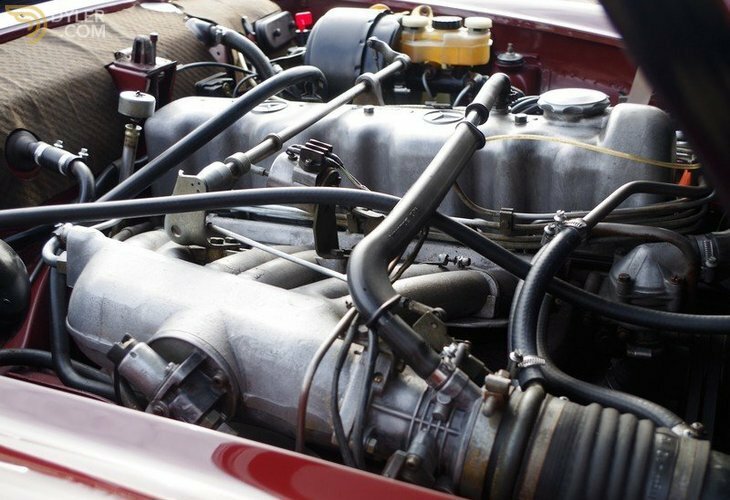 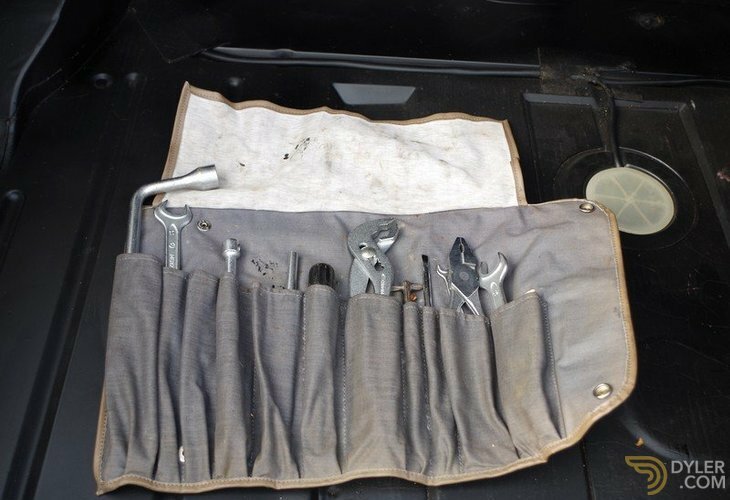 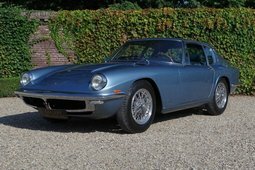 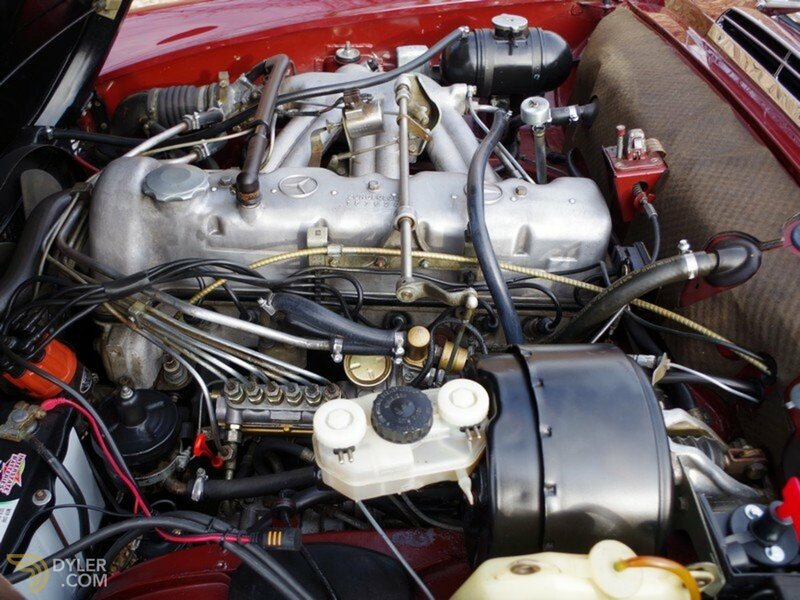 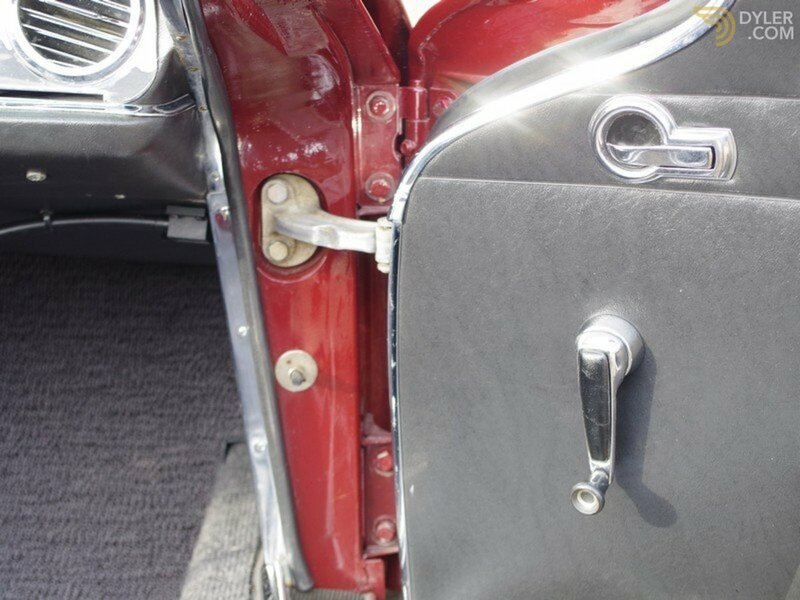 Of its four owners, one had a bodywork shop and had the engine overhauled and two kept the car for a considerable length of time. 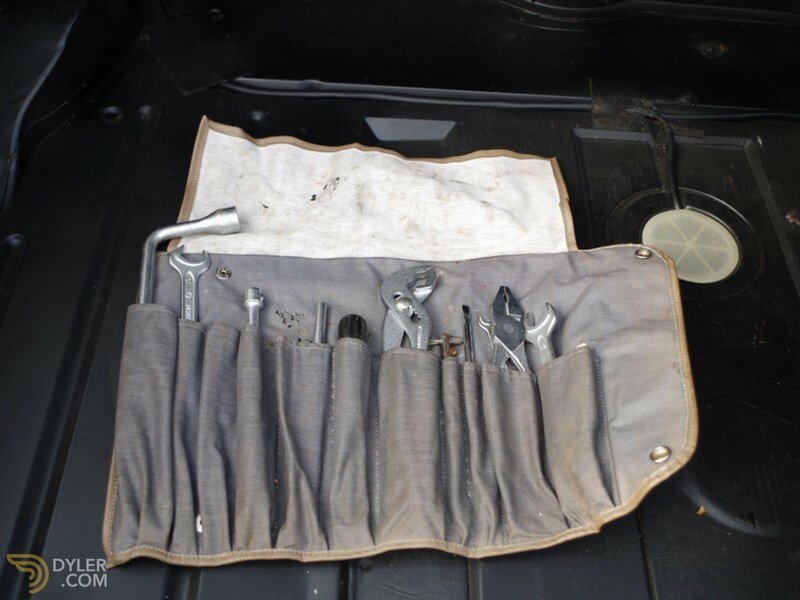 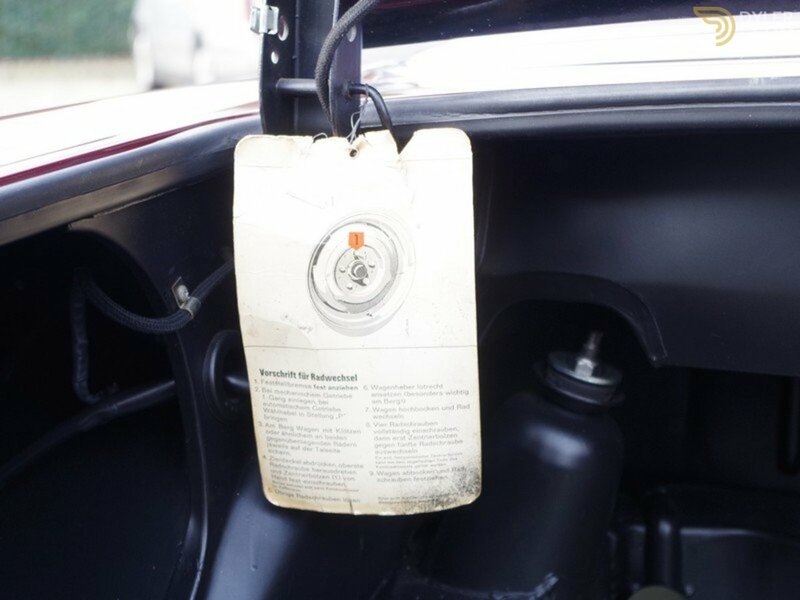 It has the original car wallet containing the service booklet and owners manual and various other information. 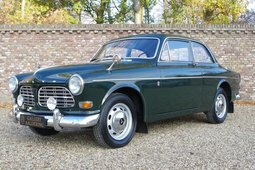 Tihs car is in superb working order and is a treat to drive., especially since its recent major service. 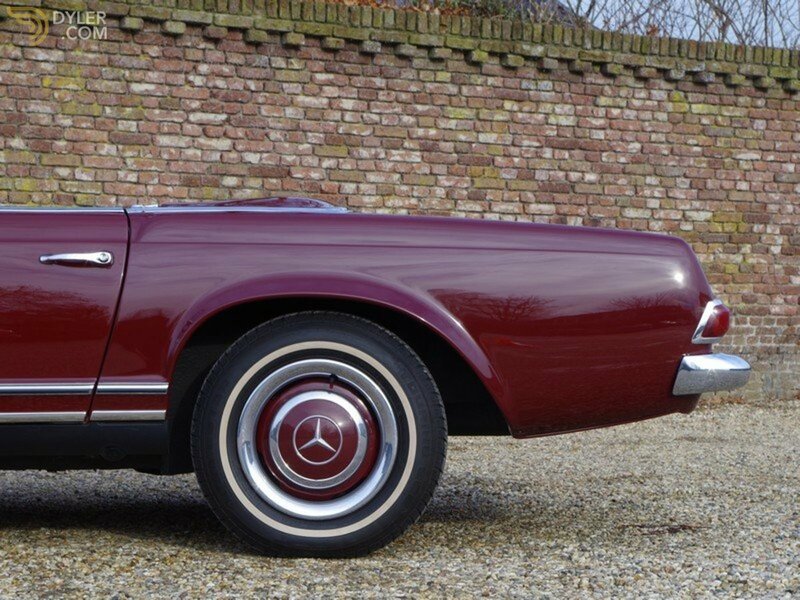 The straight bodywork is good and well fitting body panels. 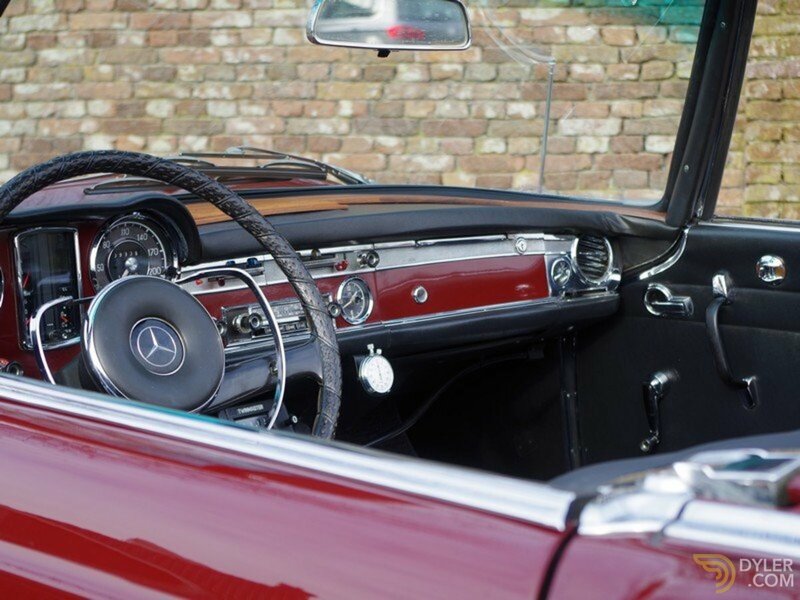 The chrome details sparkle as if they were new. 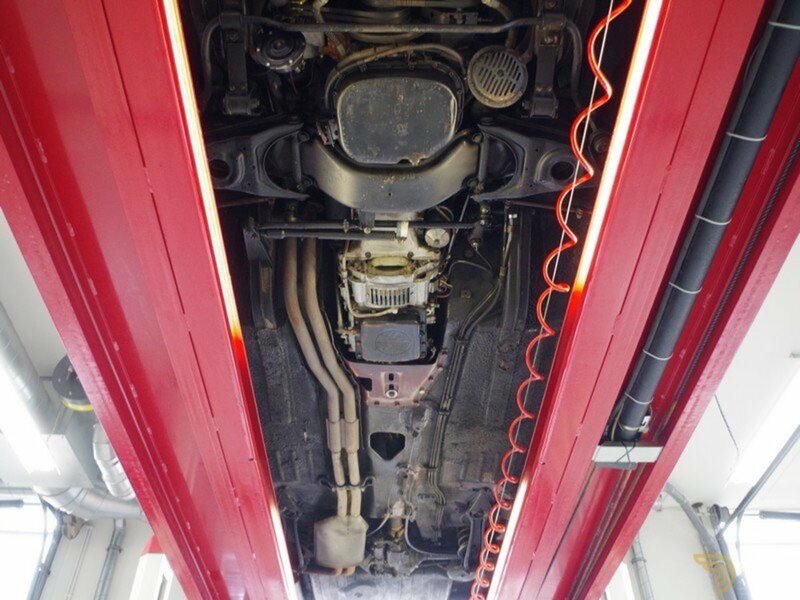 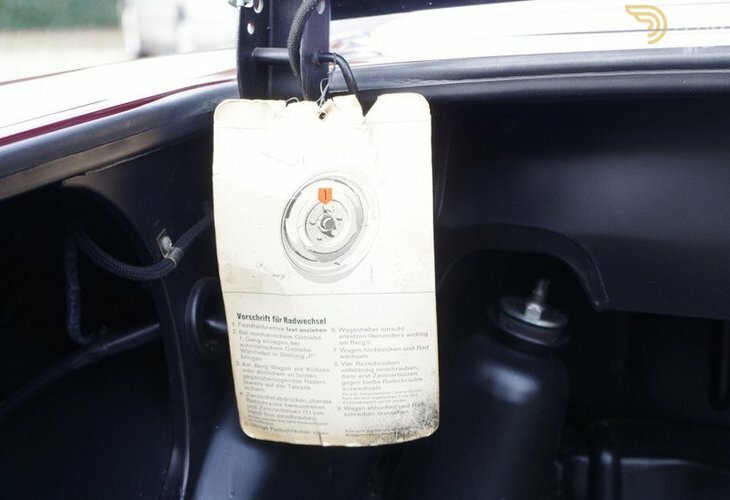 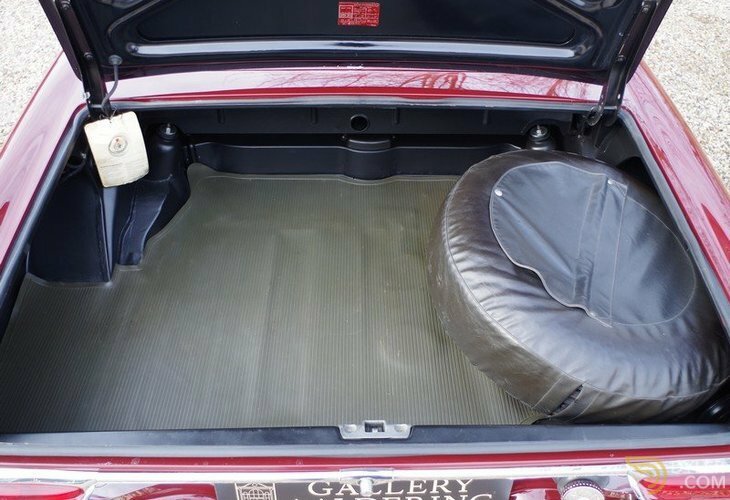 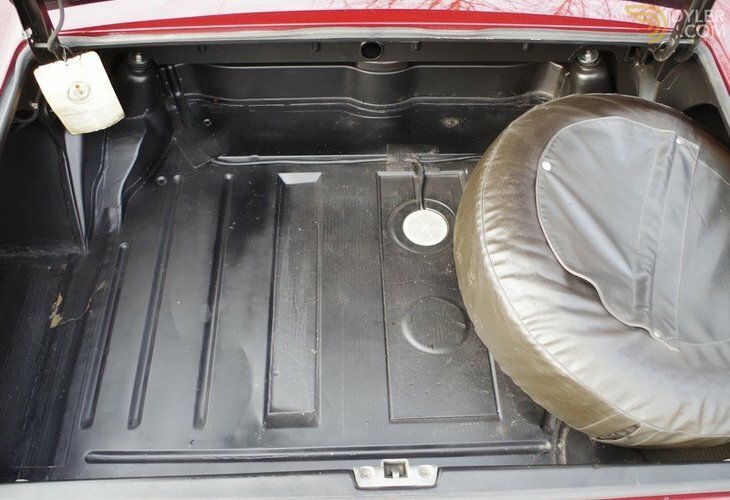 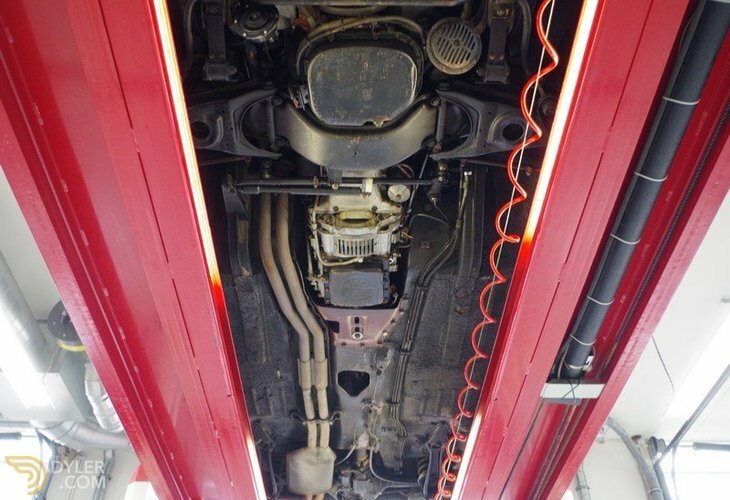 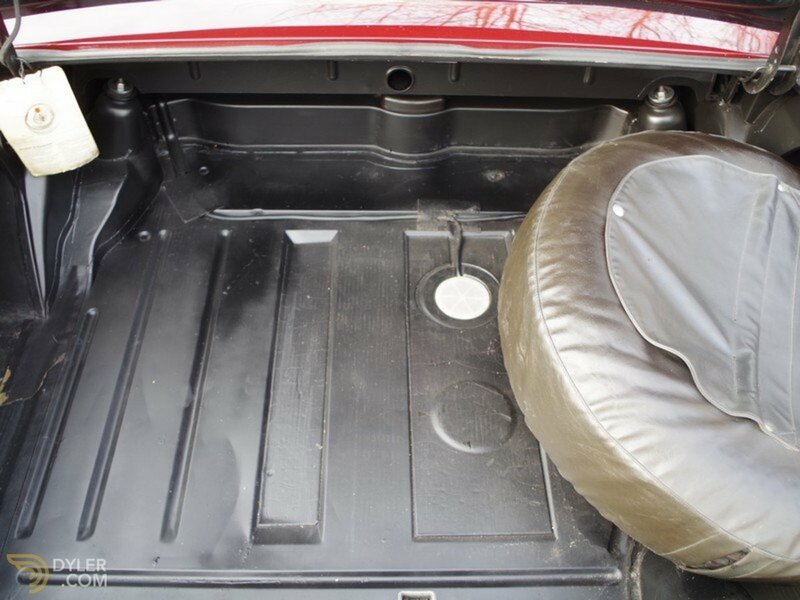 The underbody is not only original; it is also in pristine condition. 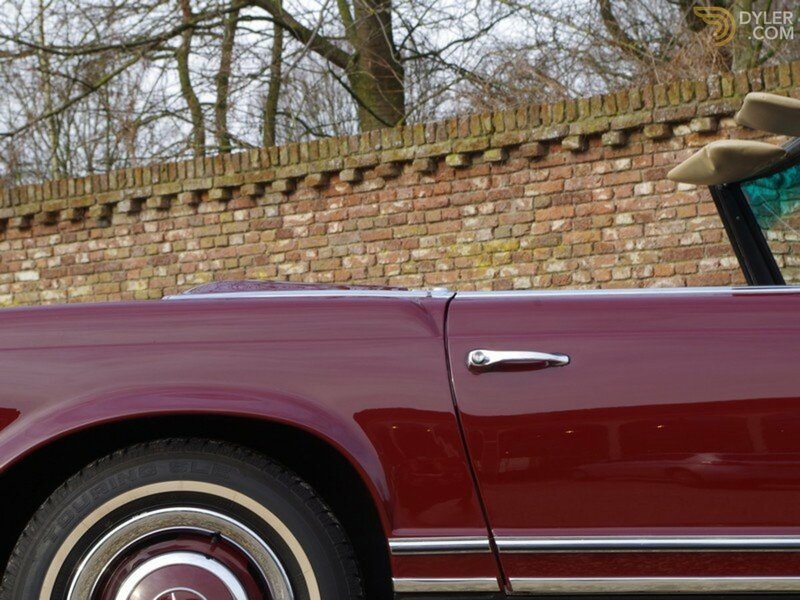 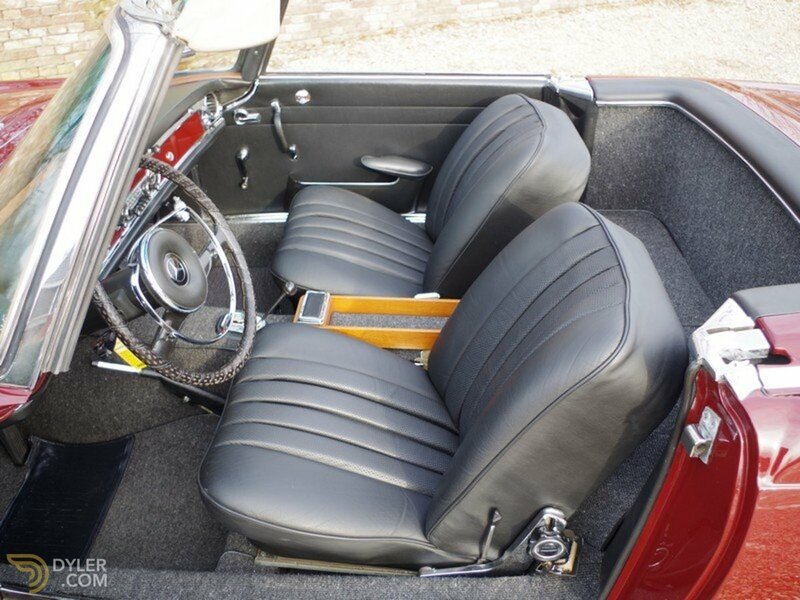 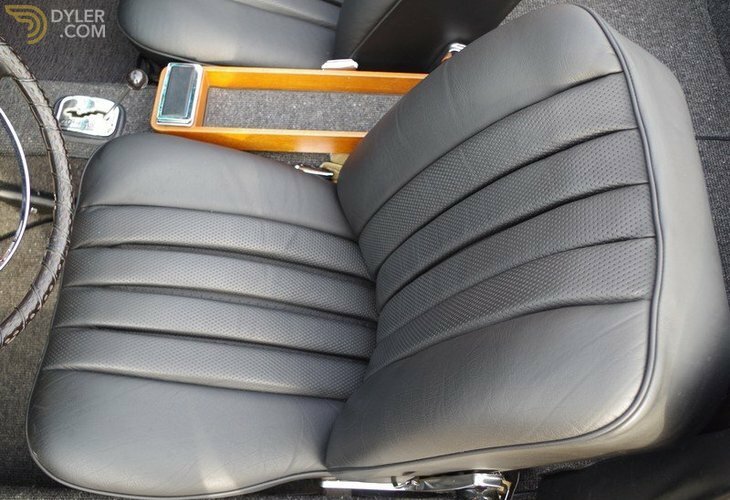 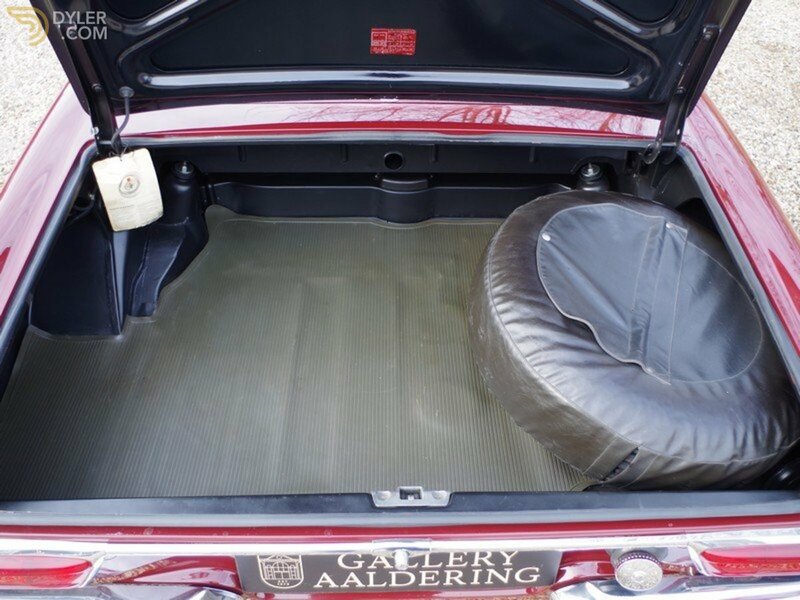 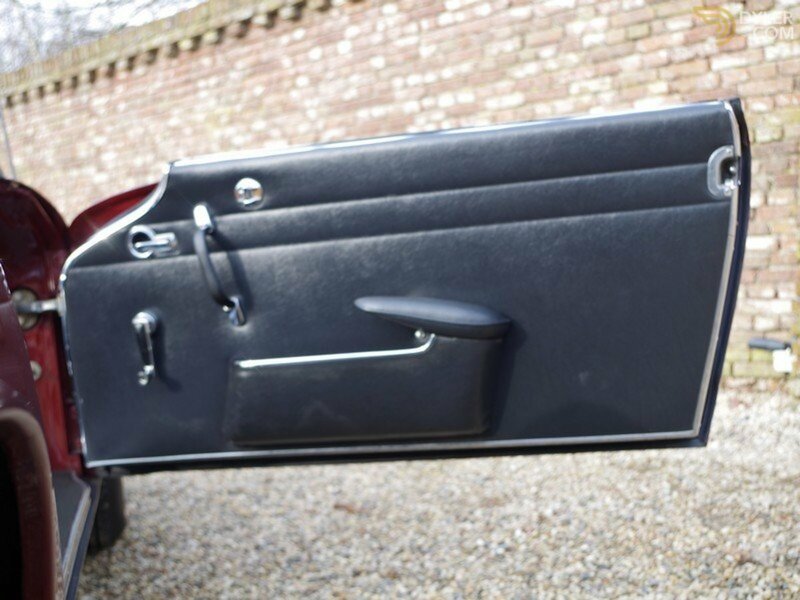 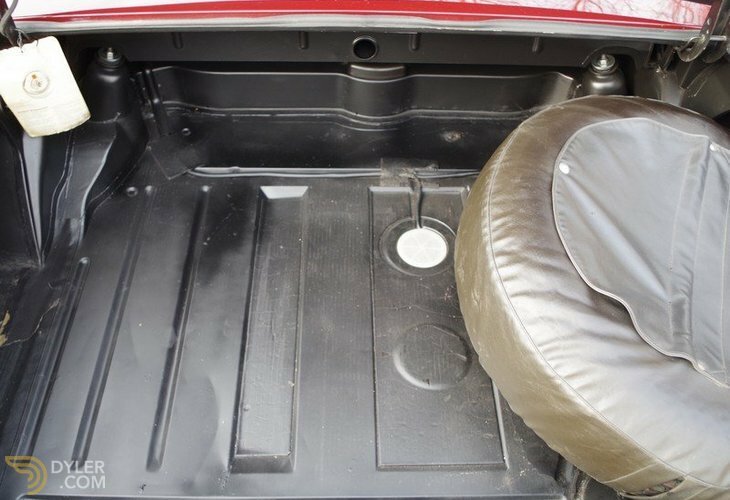 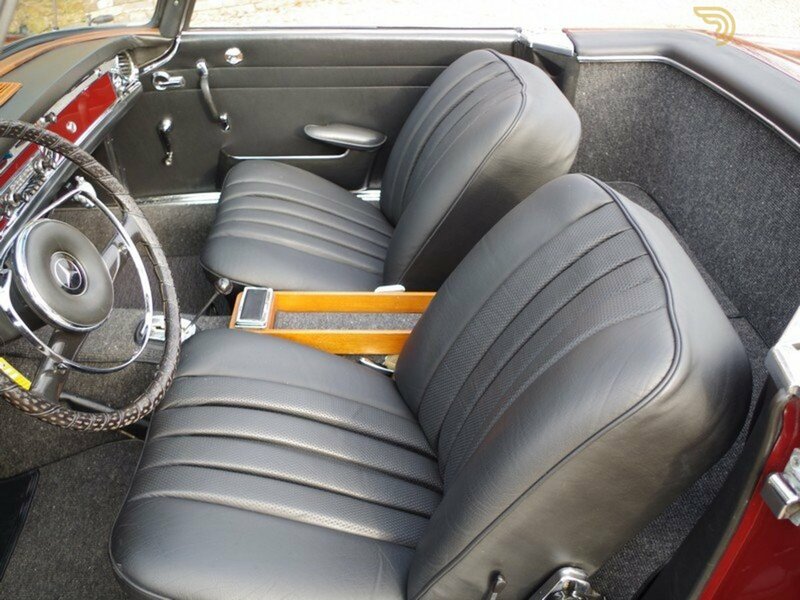 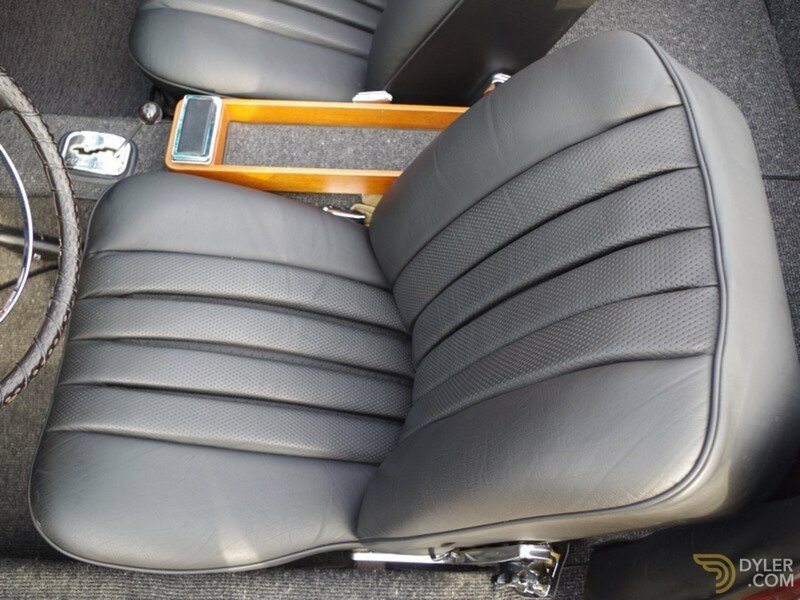 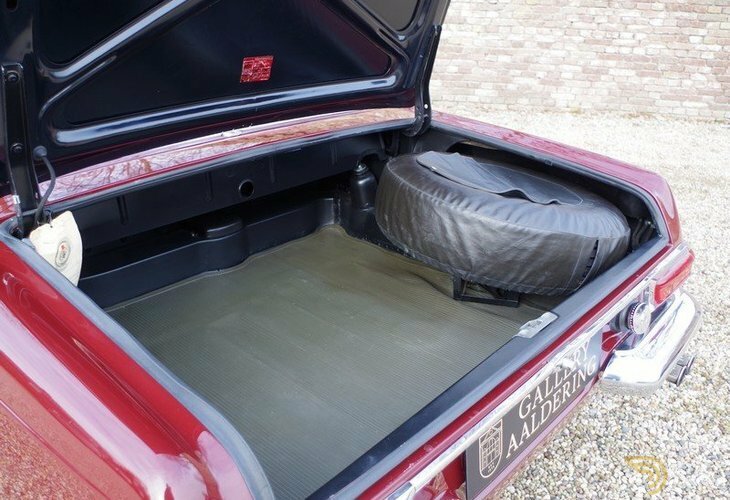 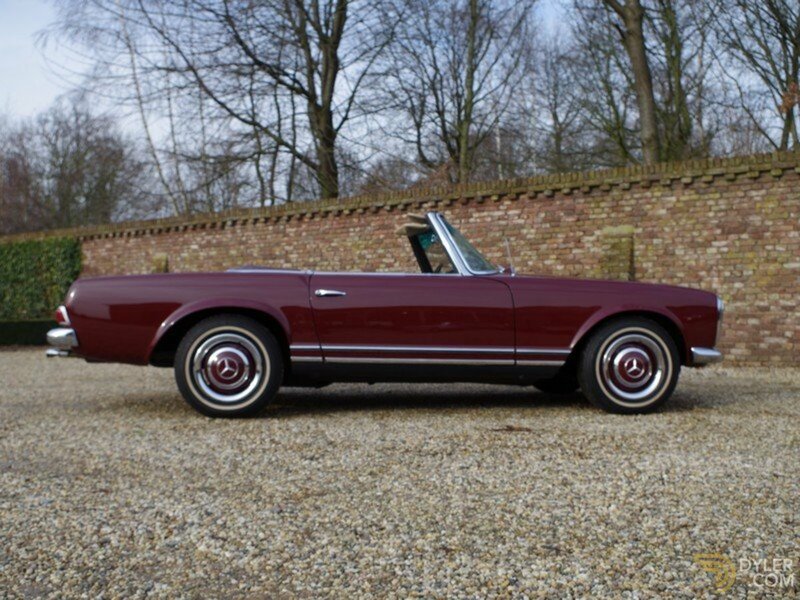 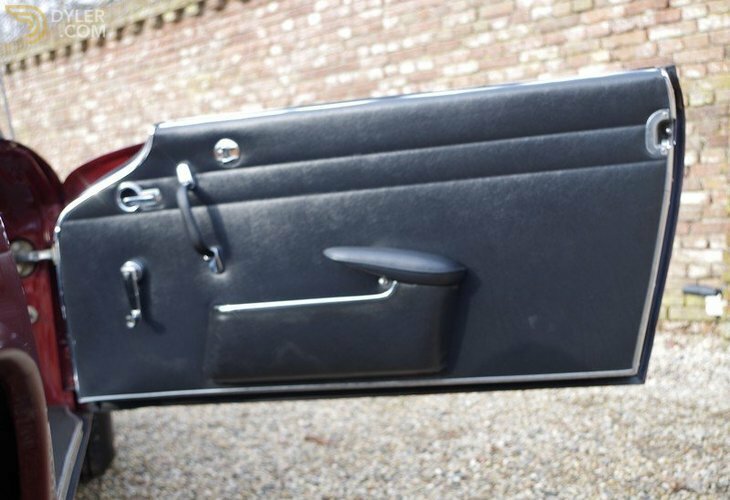 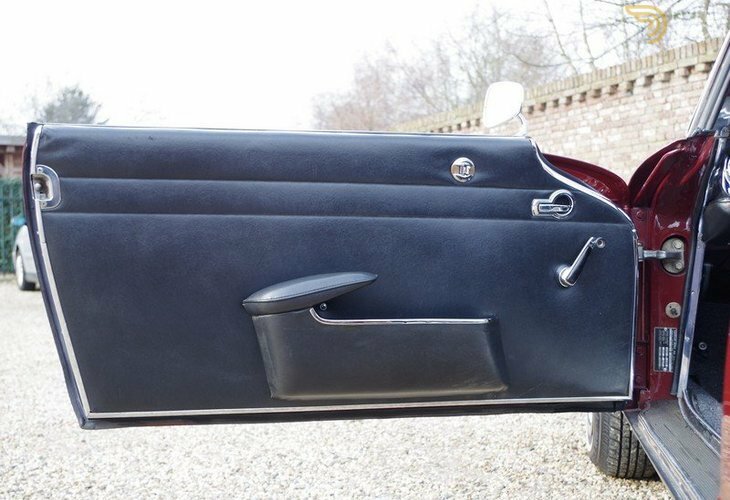 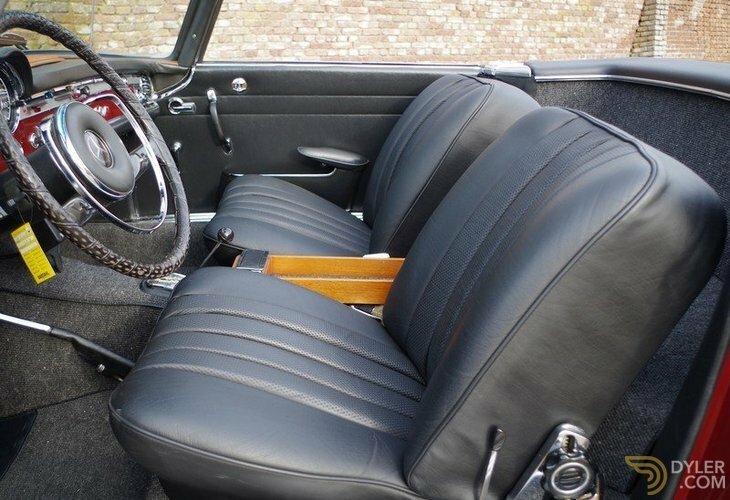 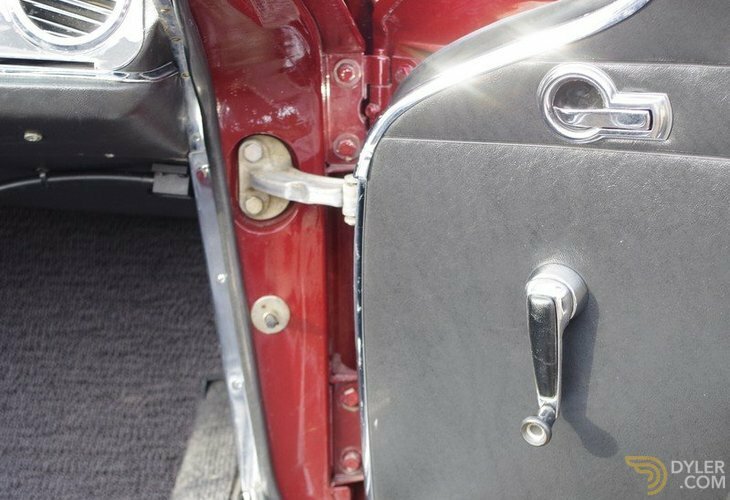 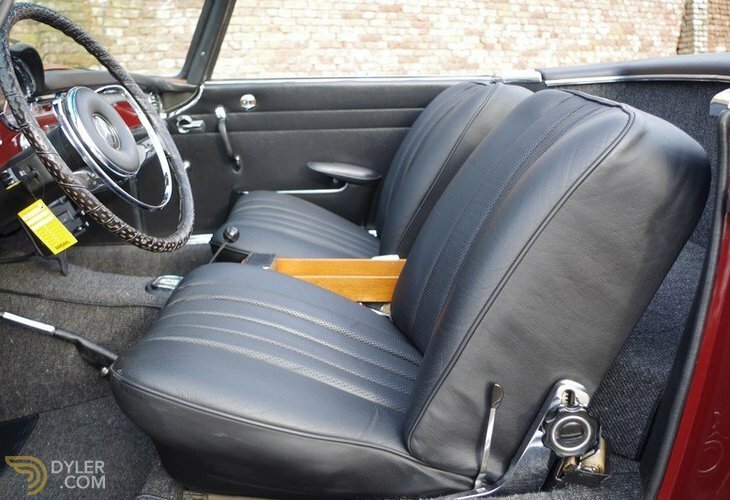 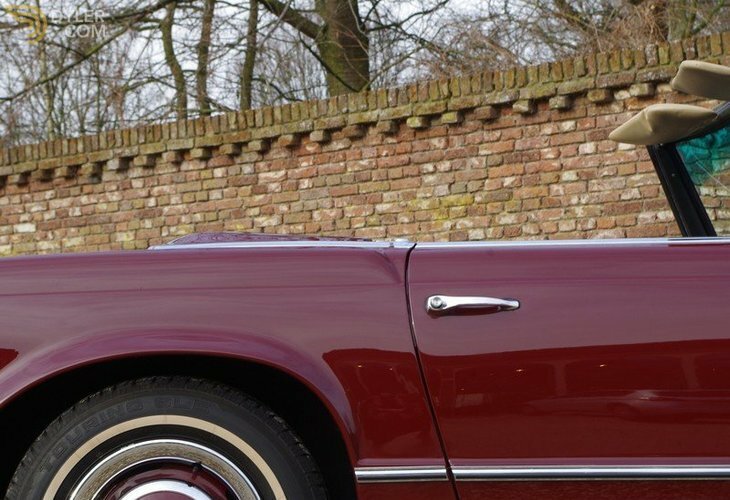 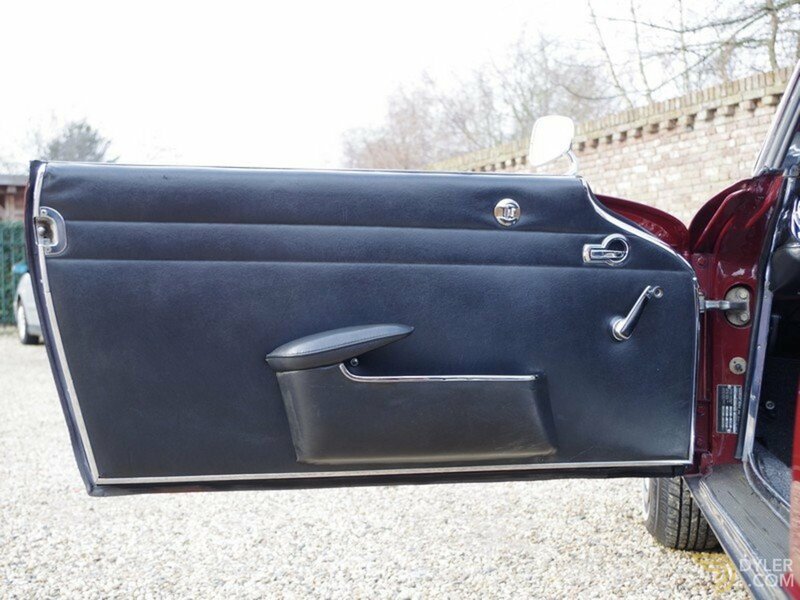 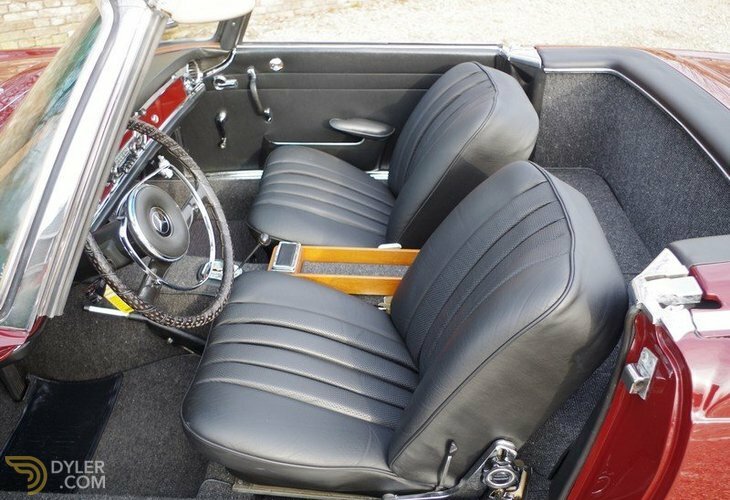 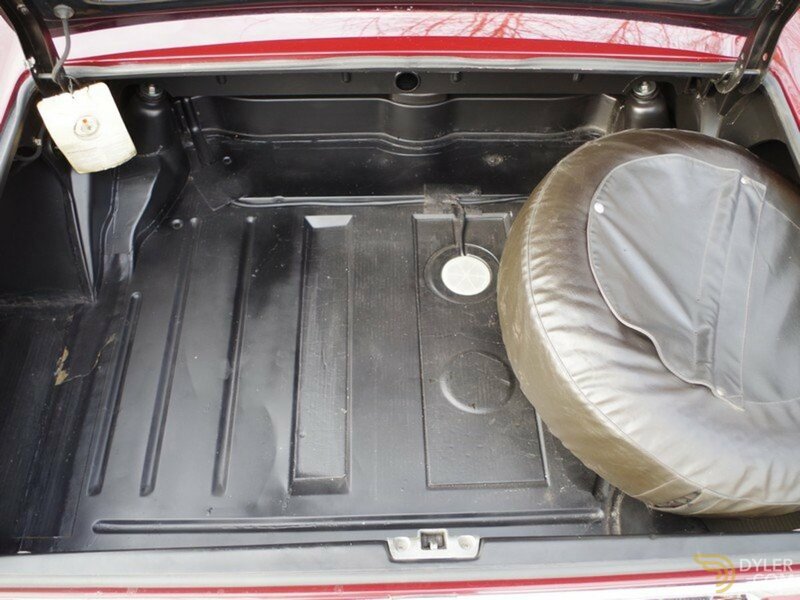 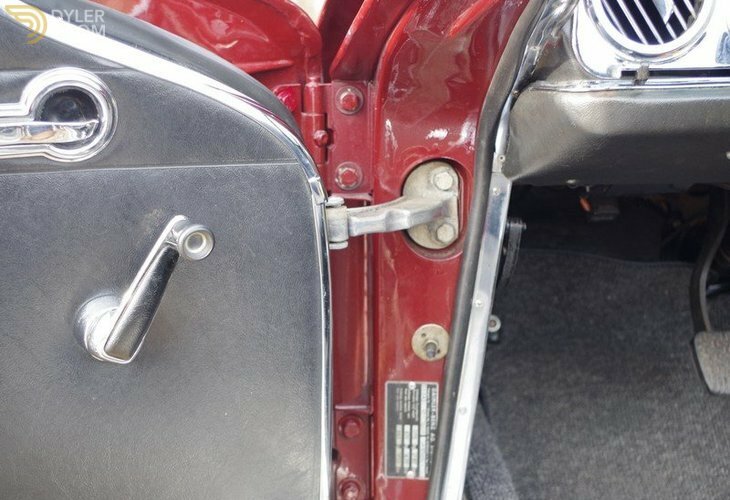 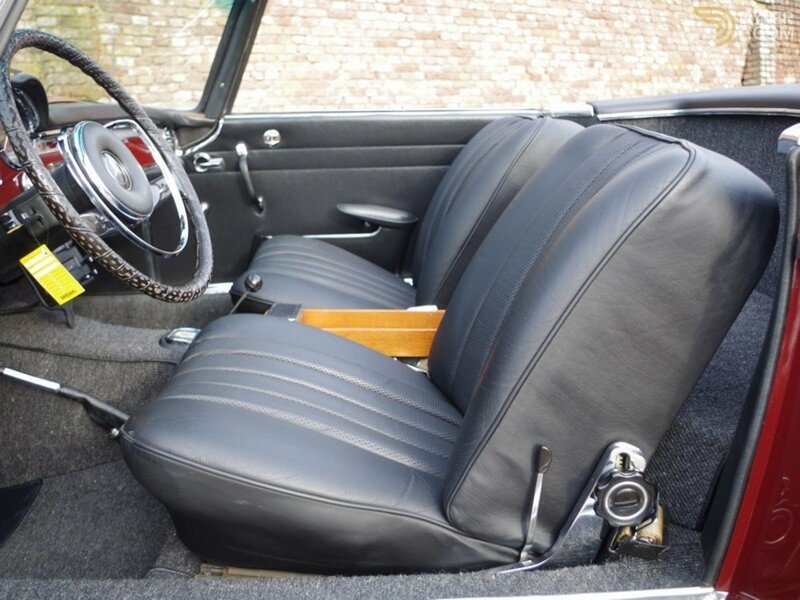 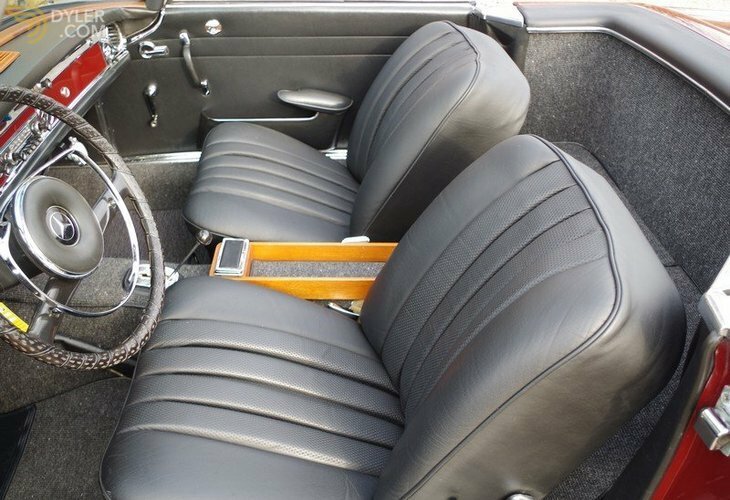 The original finish colour scheme is that of ‘Orientrot’ with a black leather interior trim. 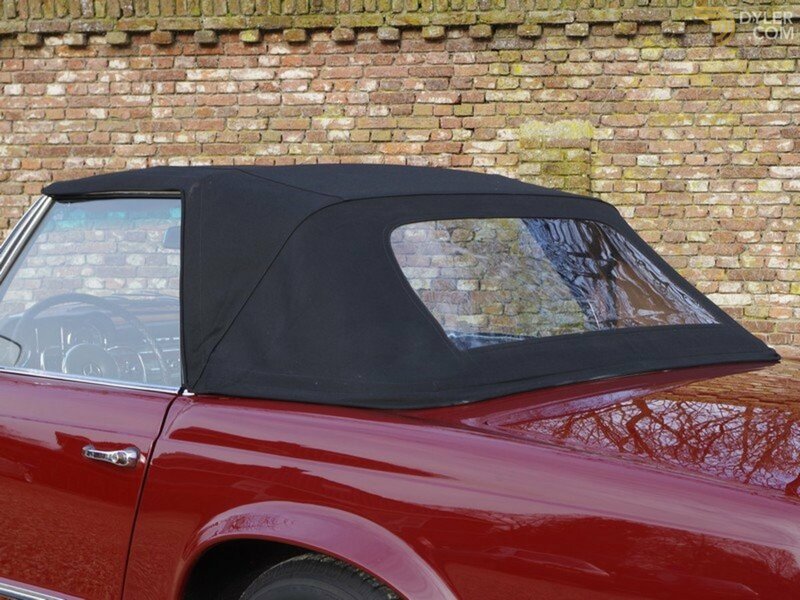 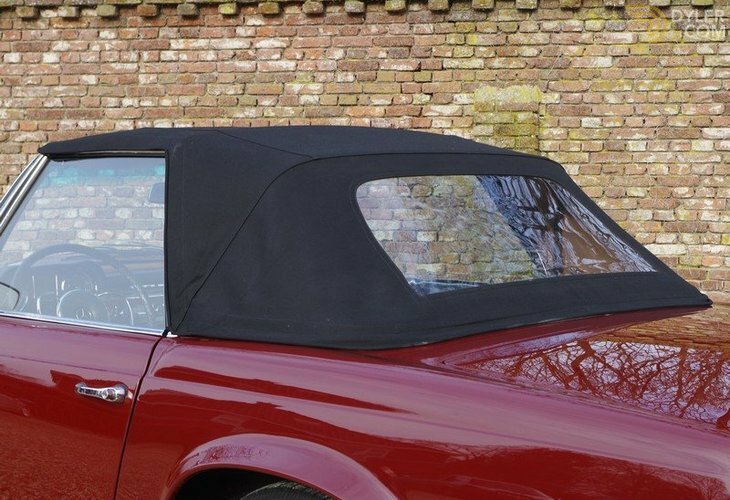 The black Sonneland cloth hood is as good as new. 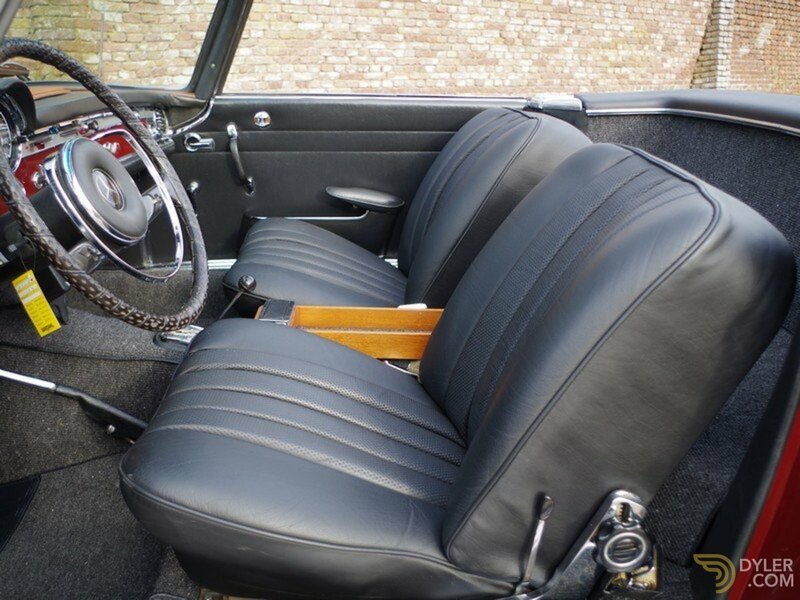 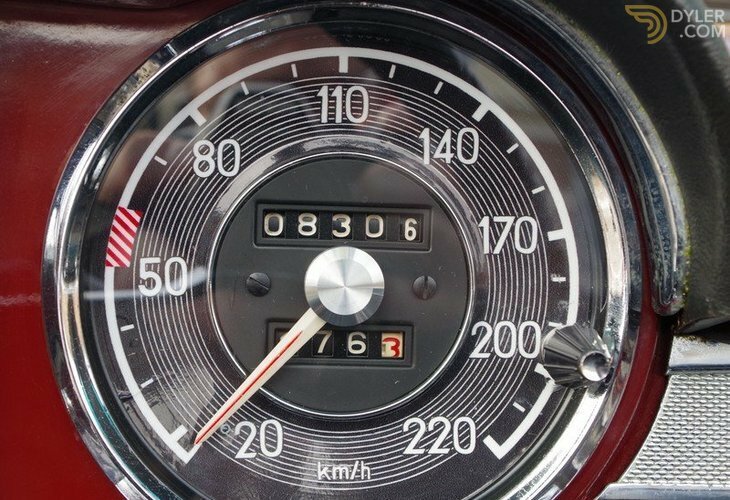 The interior has been looked after particularly well and has the authentic Blaupunkt radio. 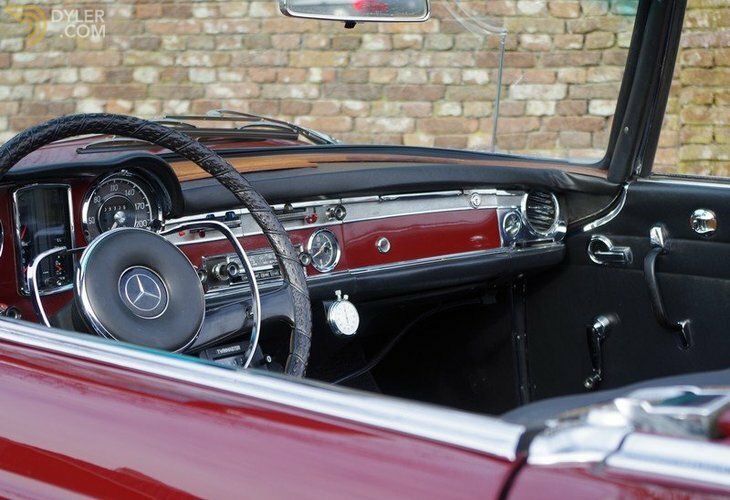 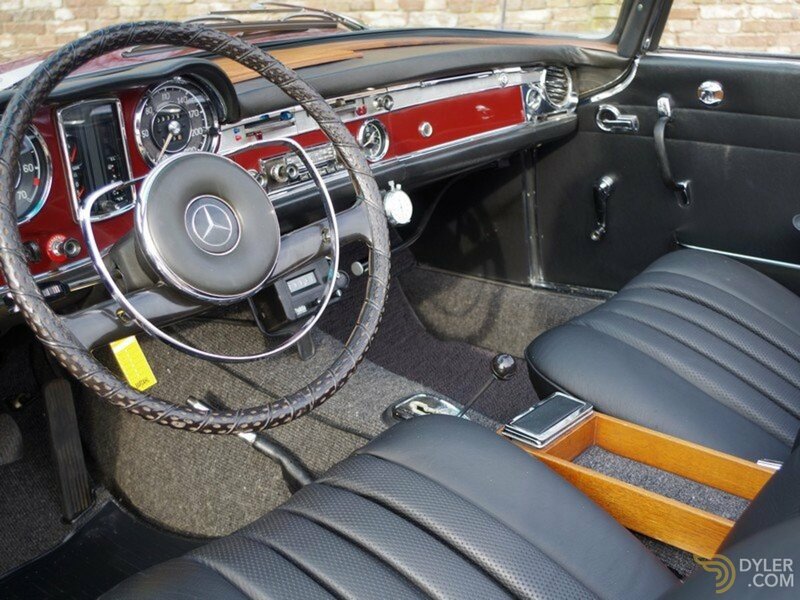 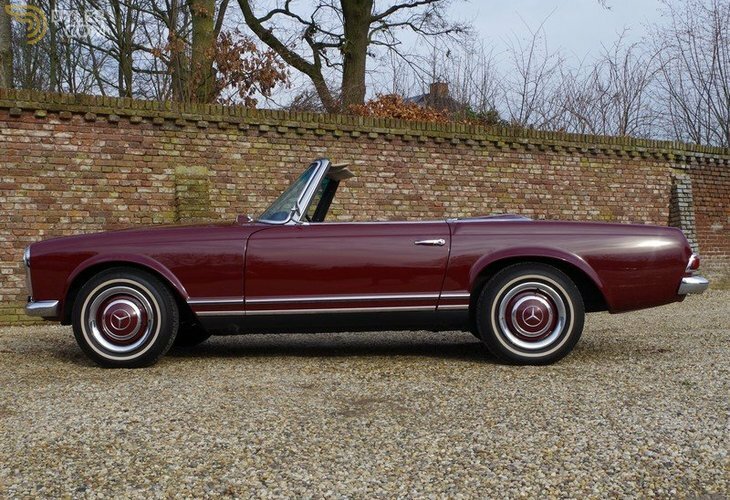 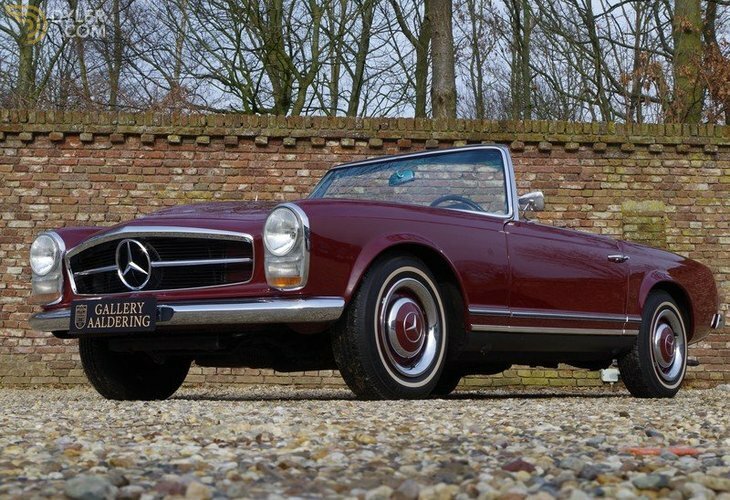 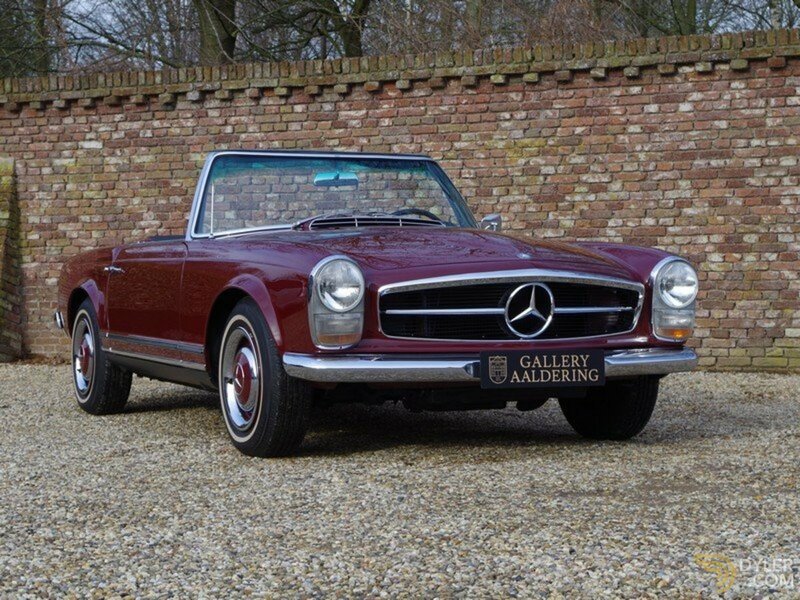 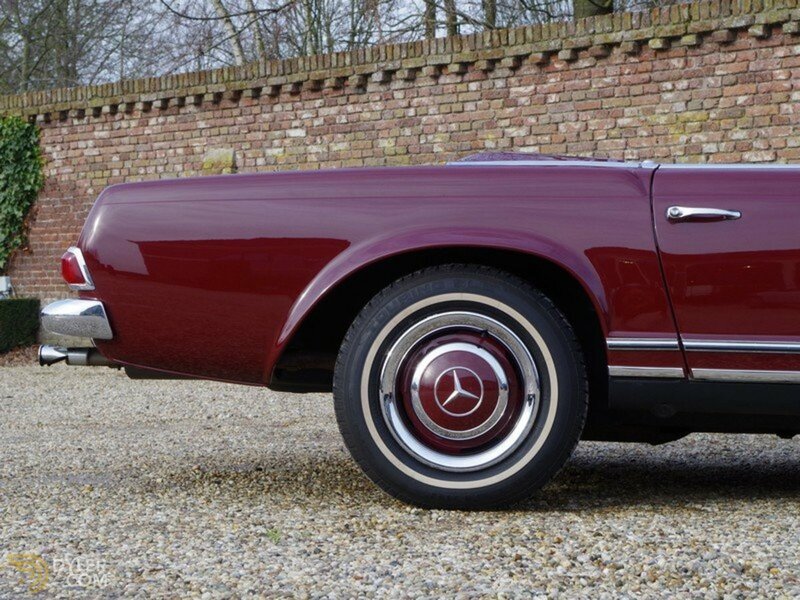 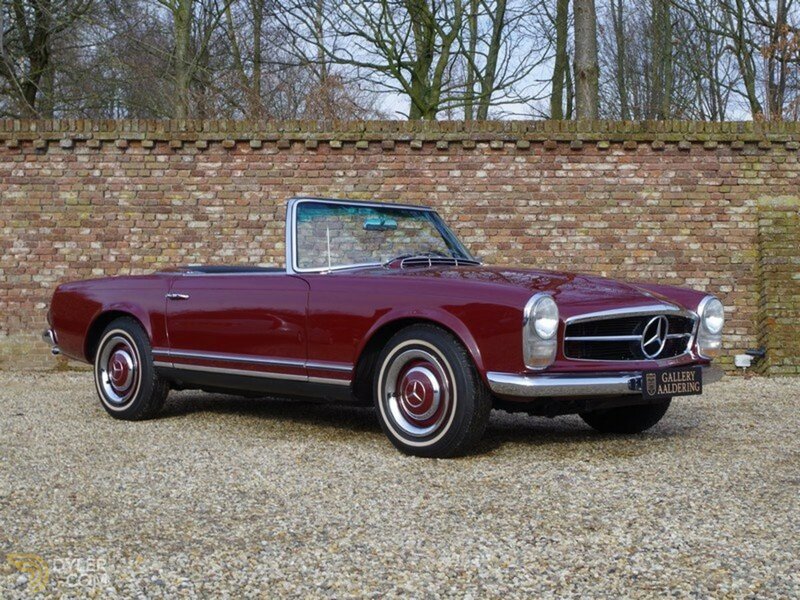 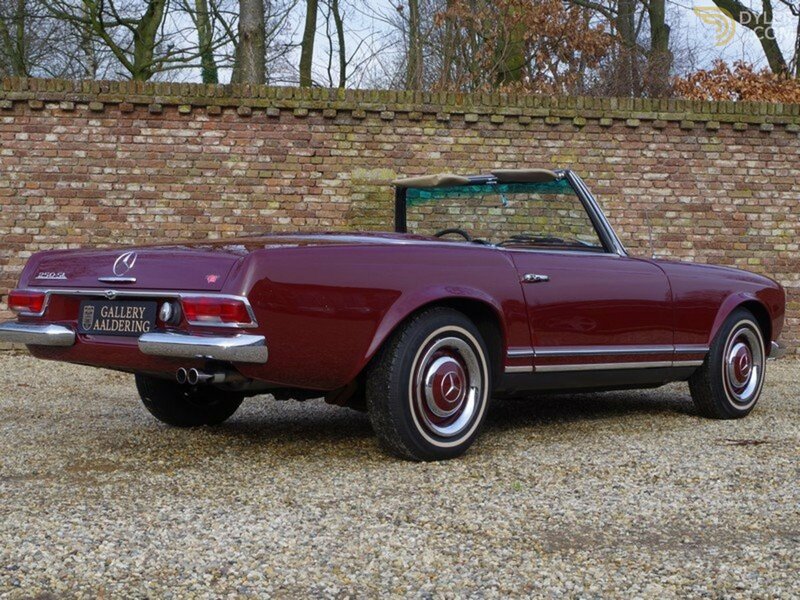 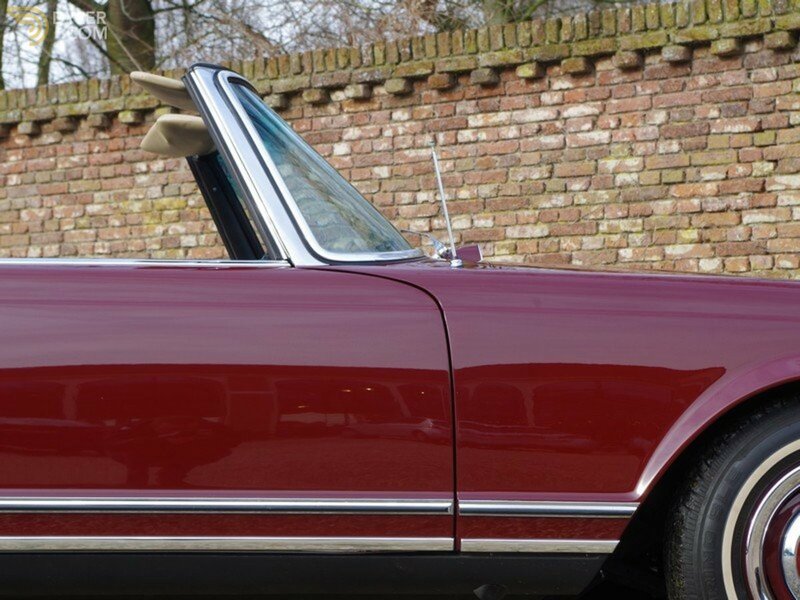 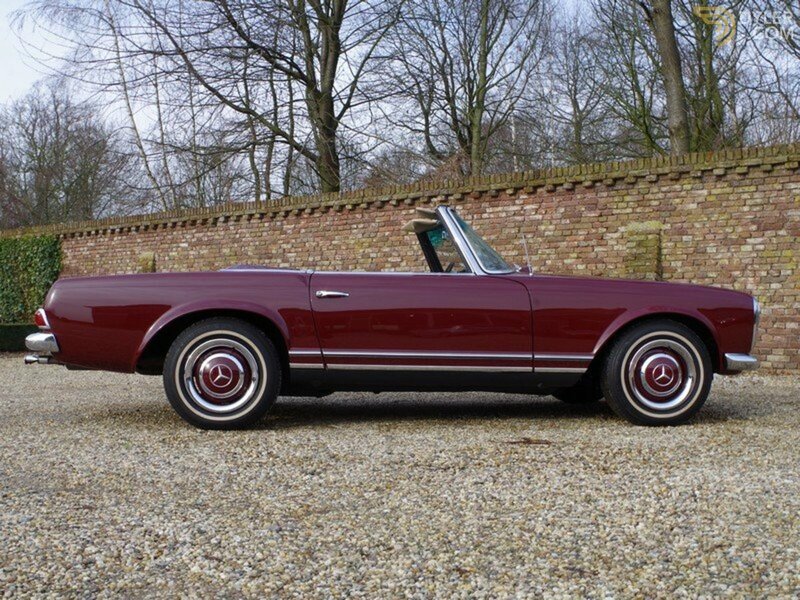 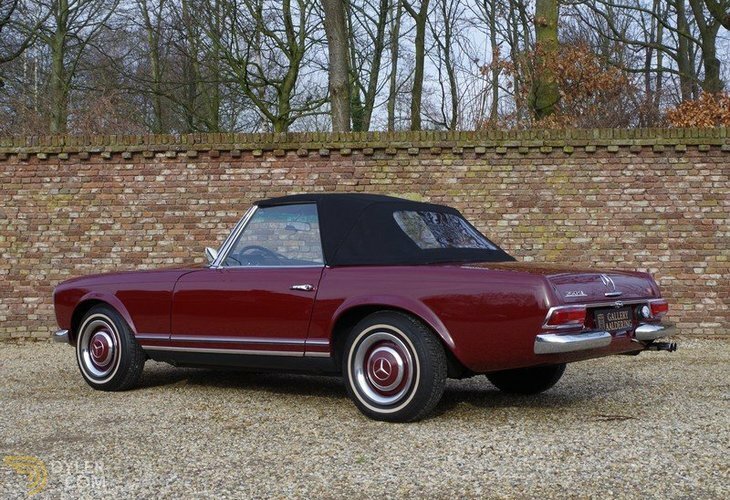 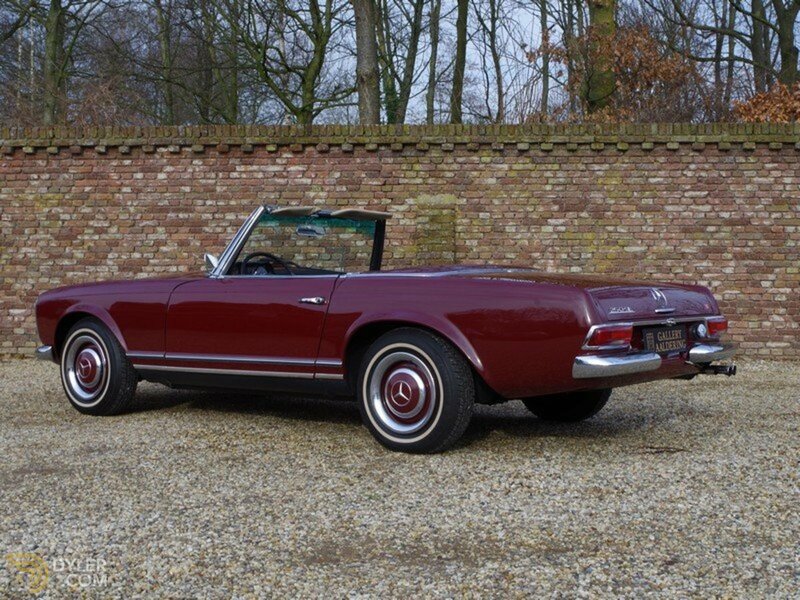 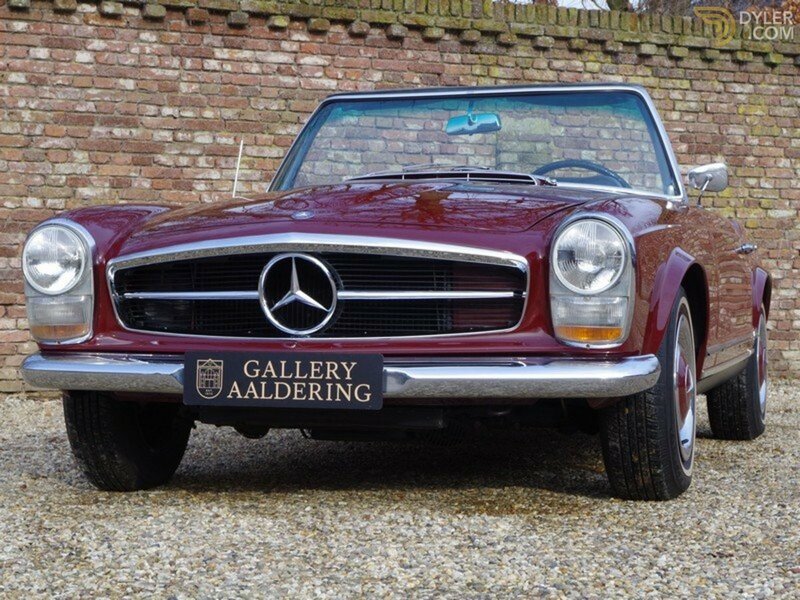 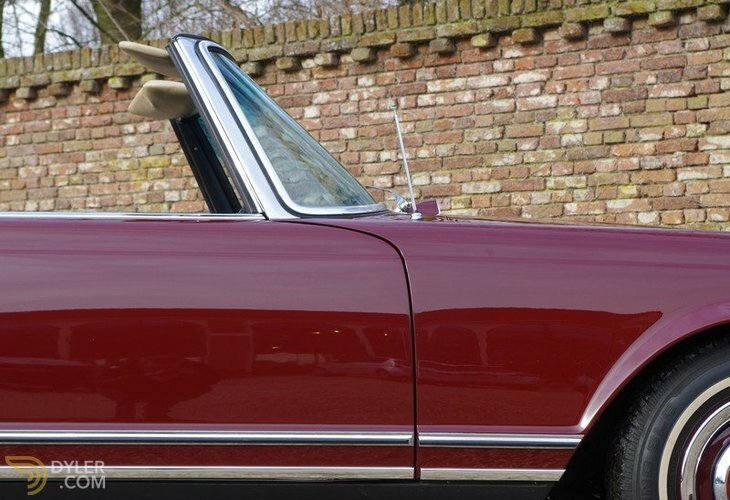 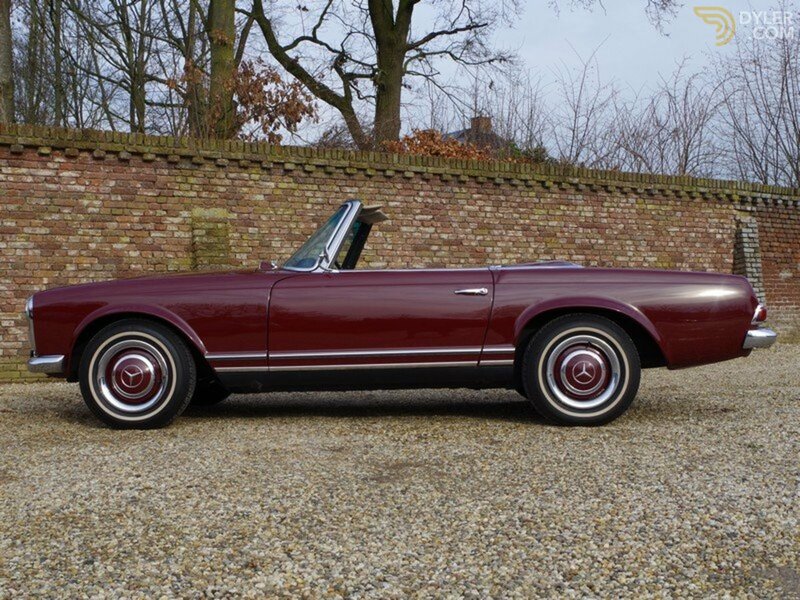 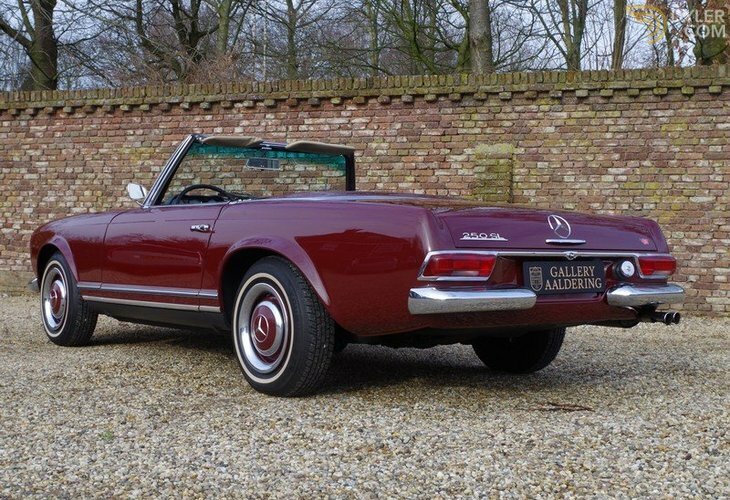 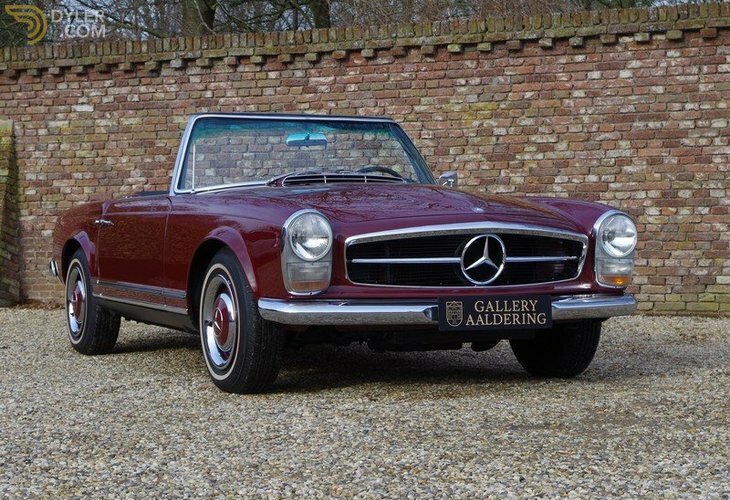 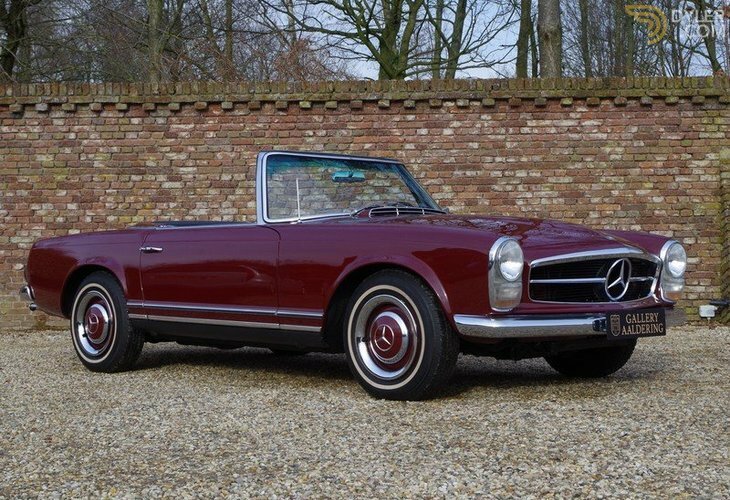 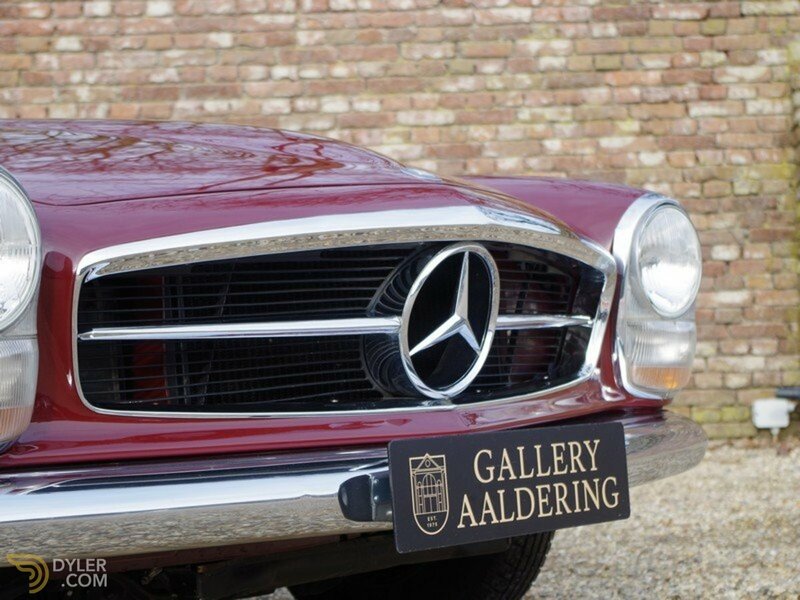 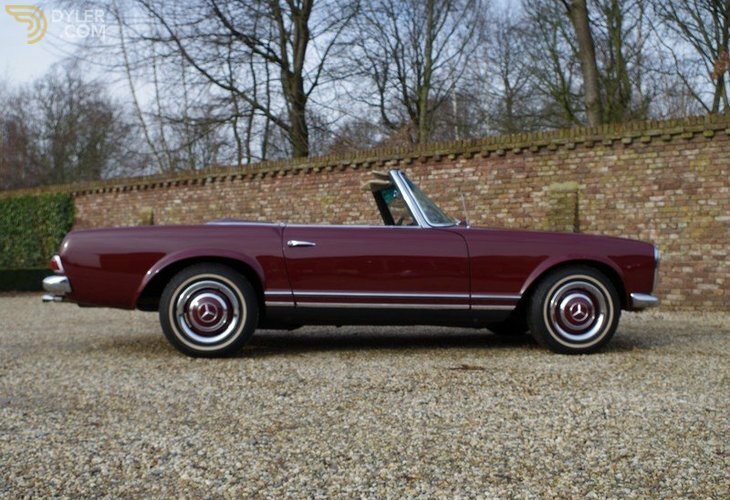 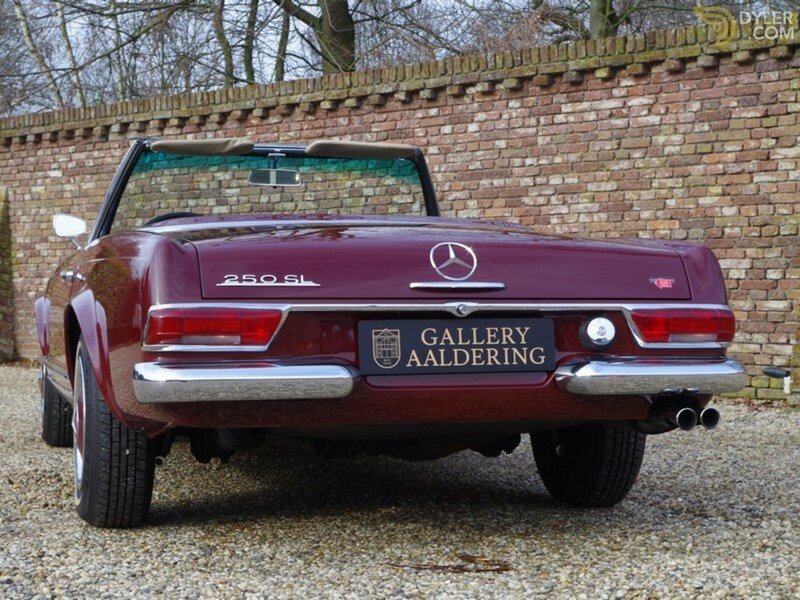 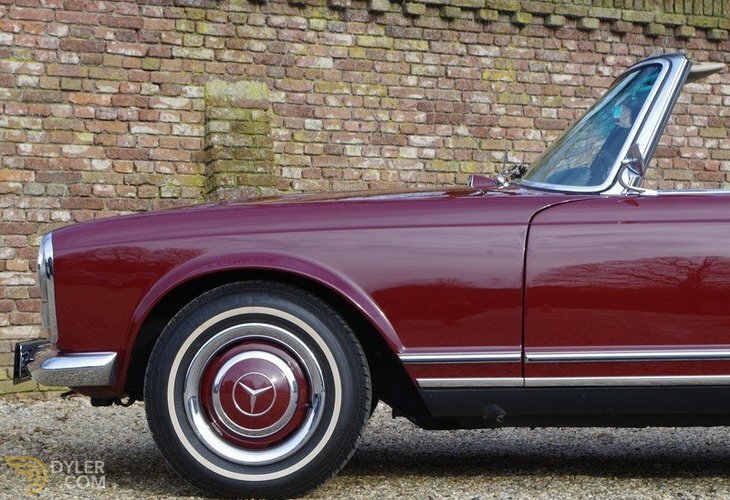 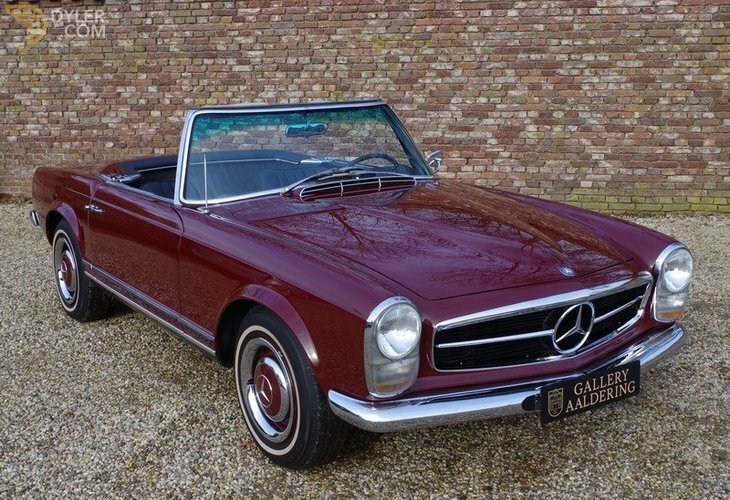 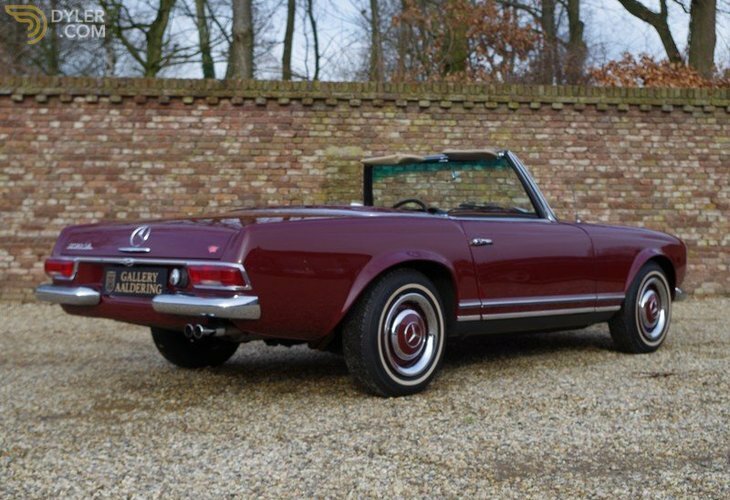 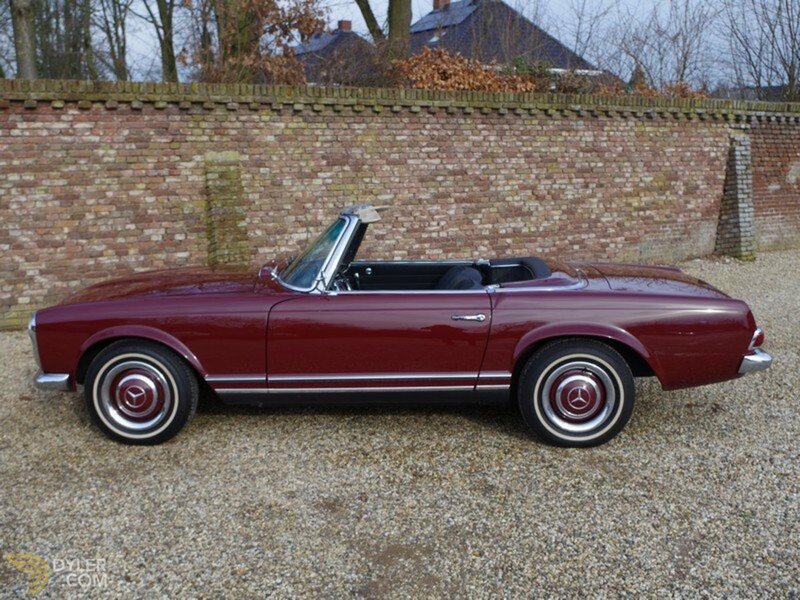 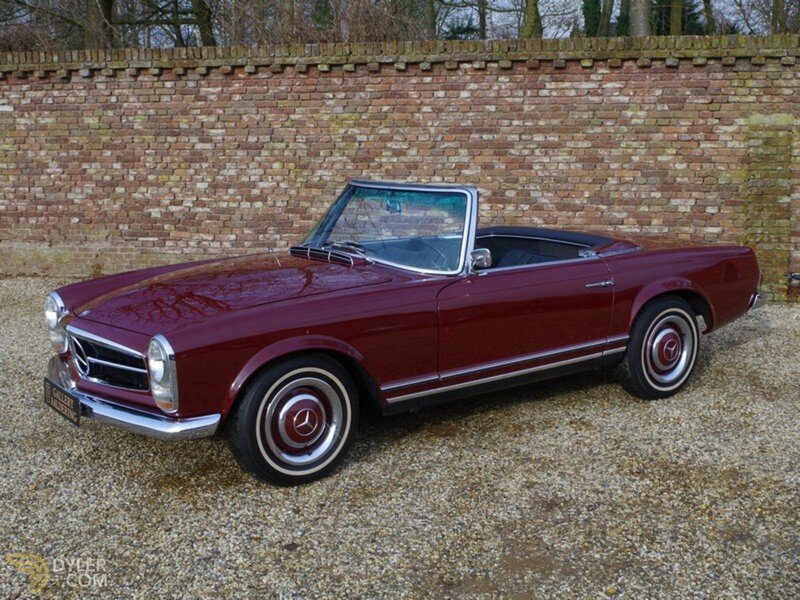 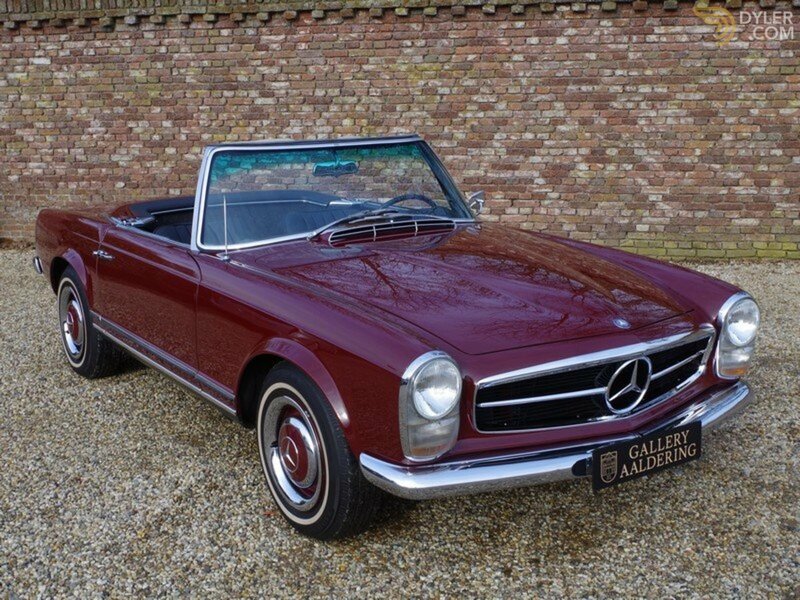 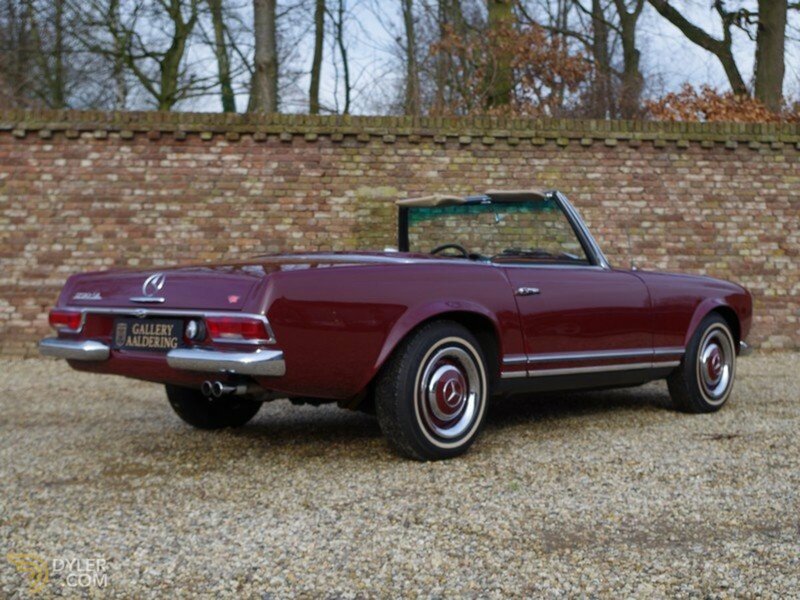 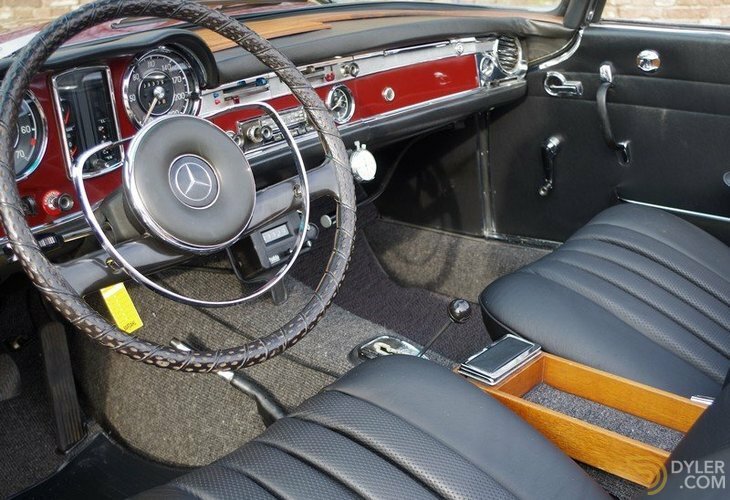 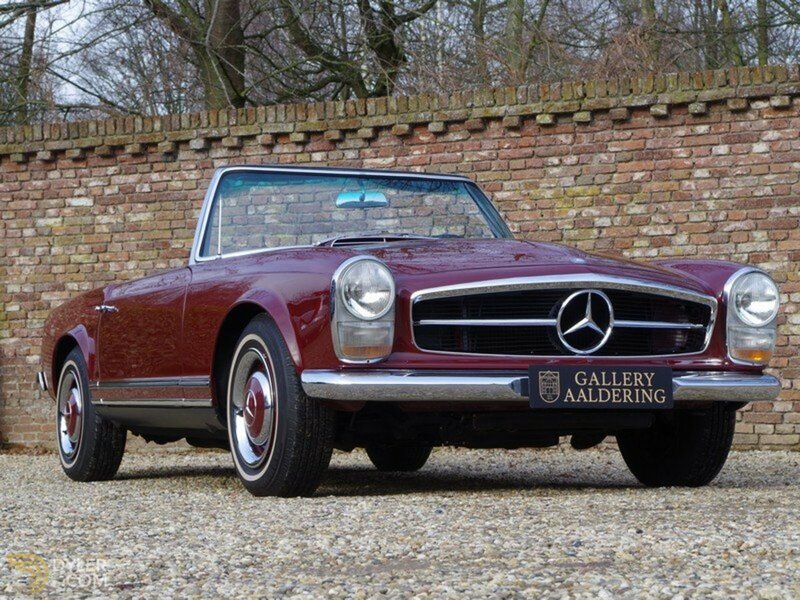 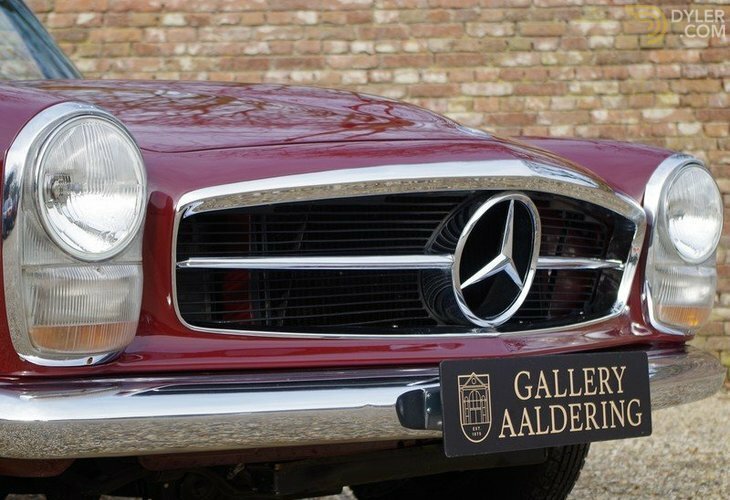 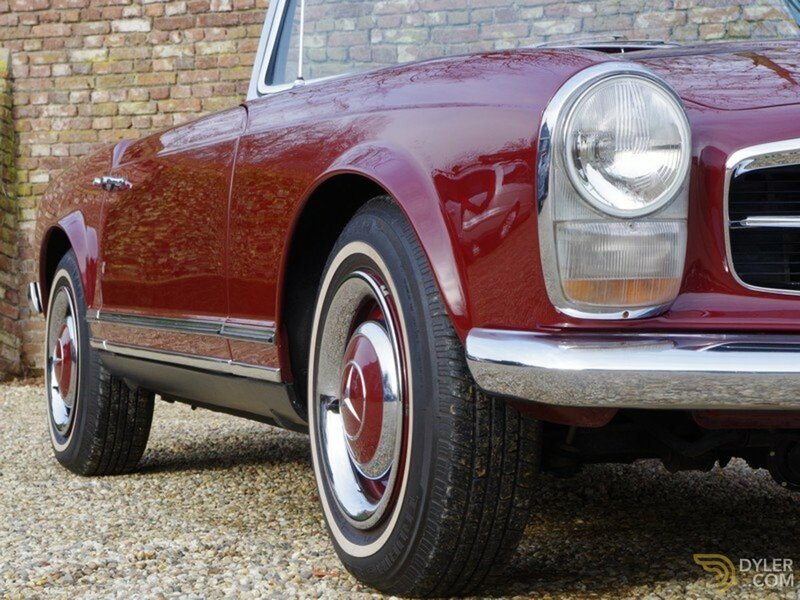 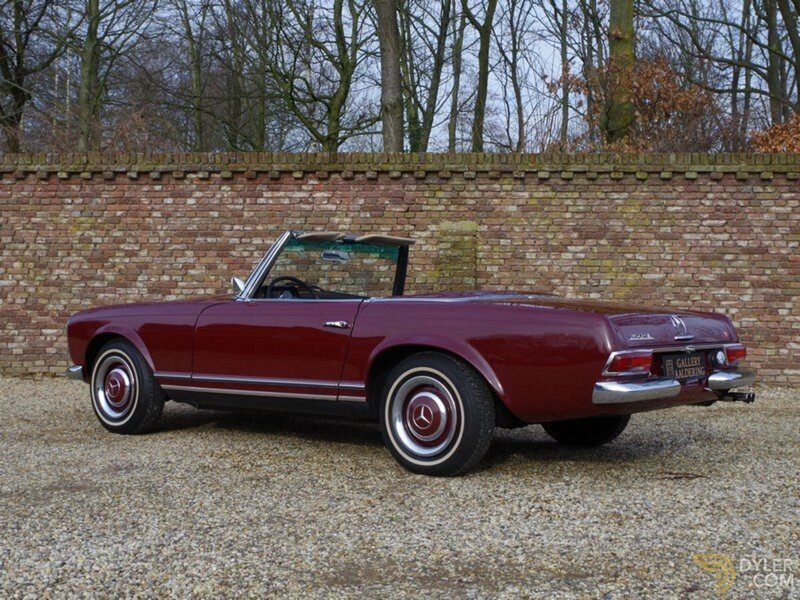 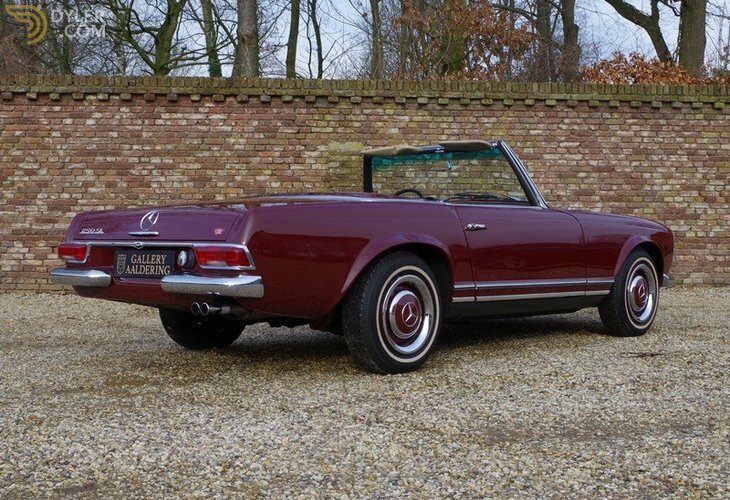 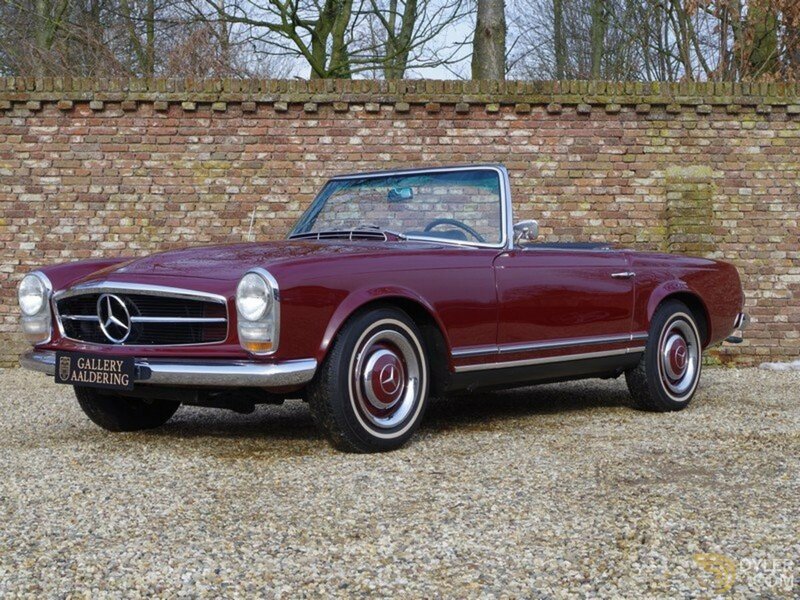 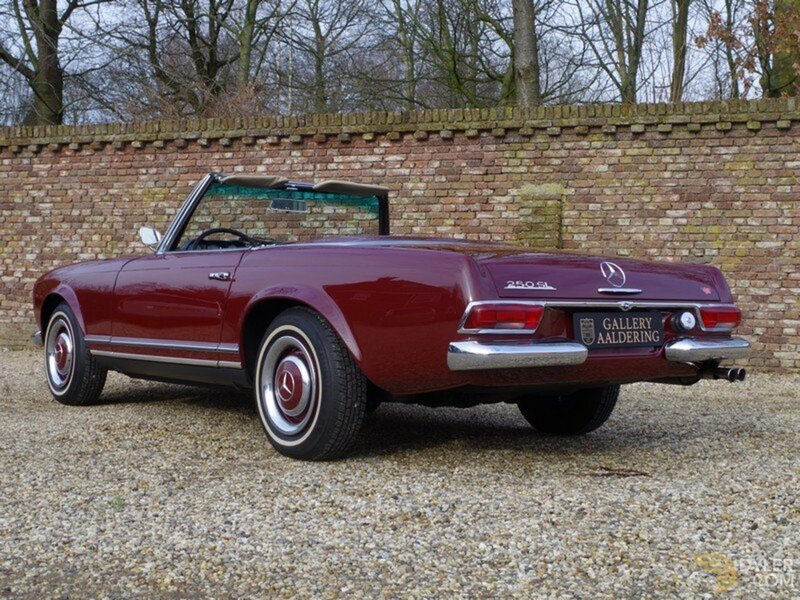 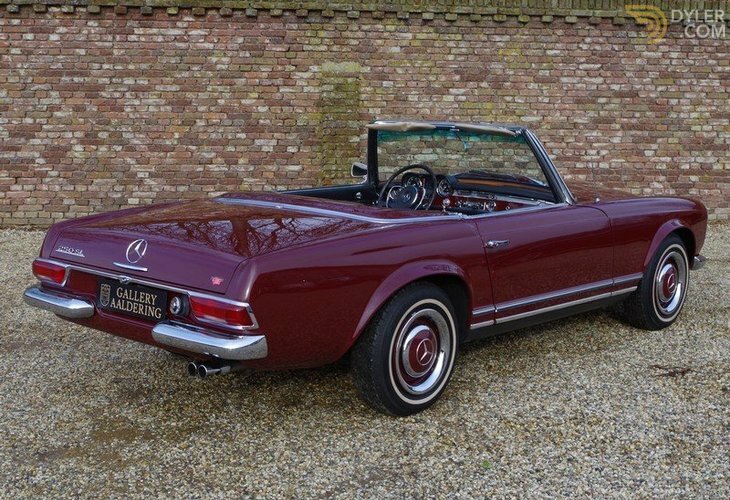 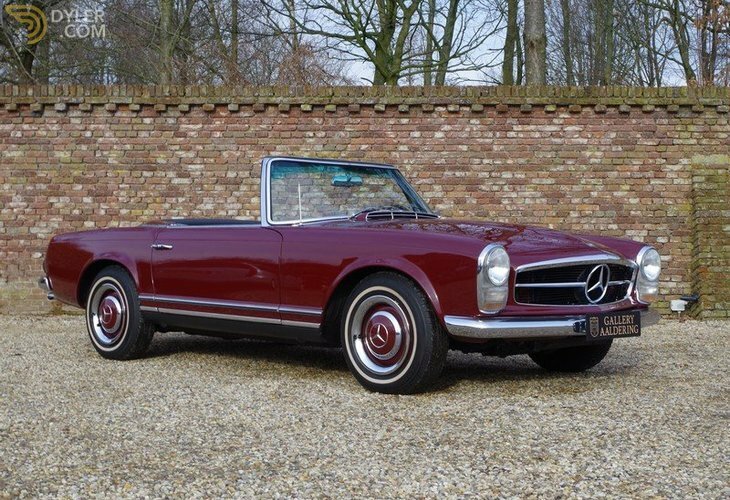 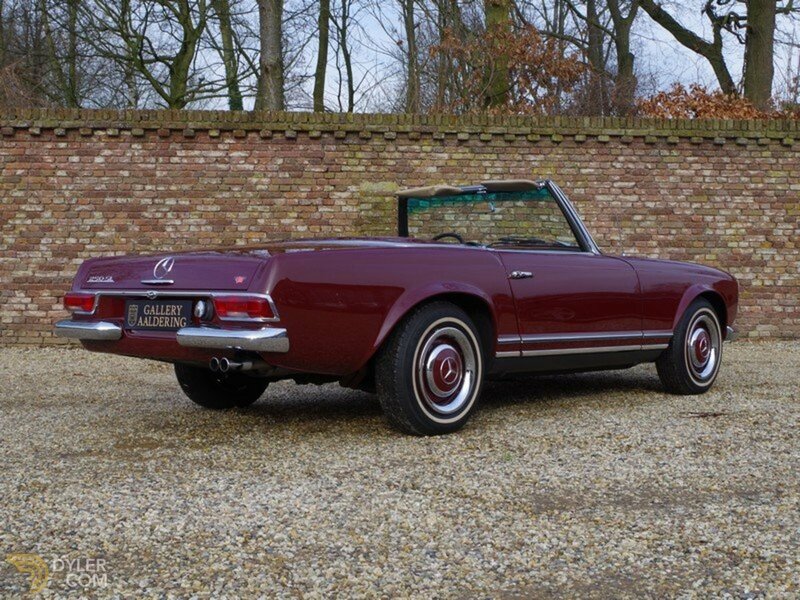 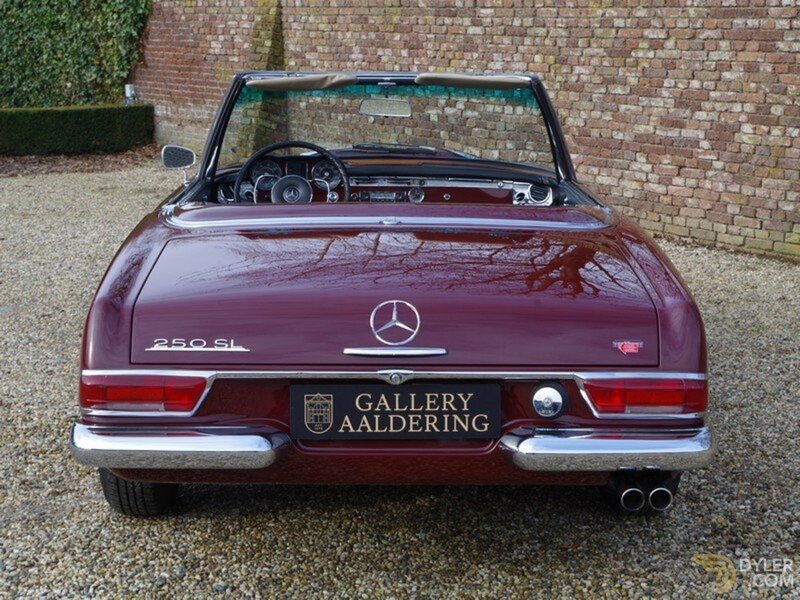 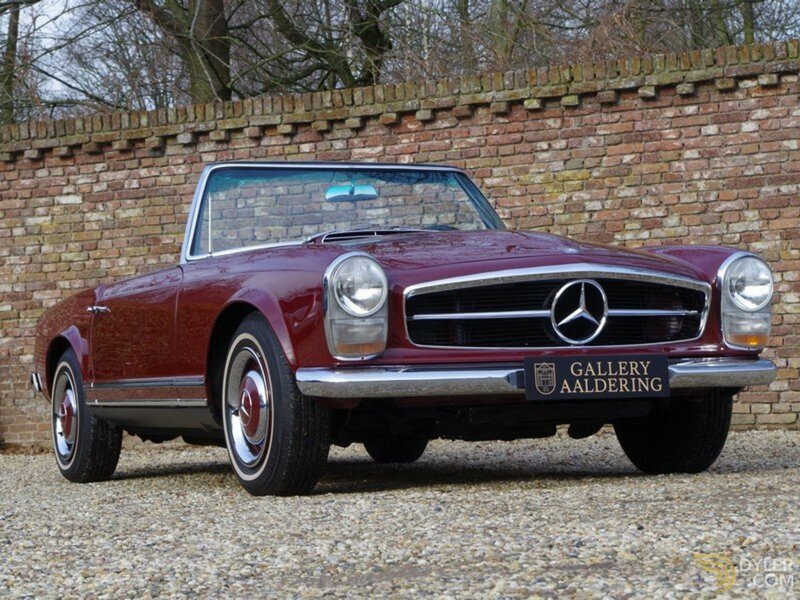 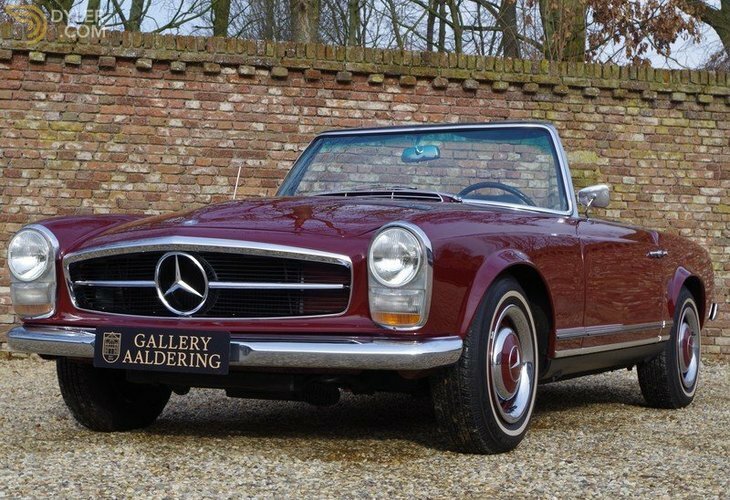 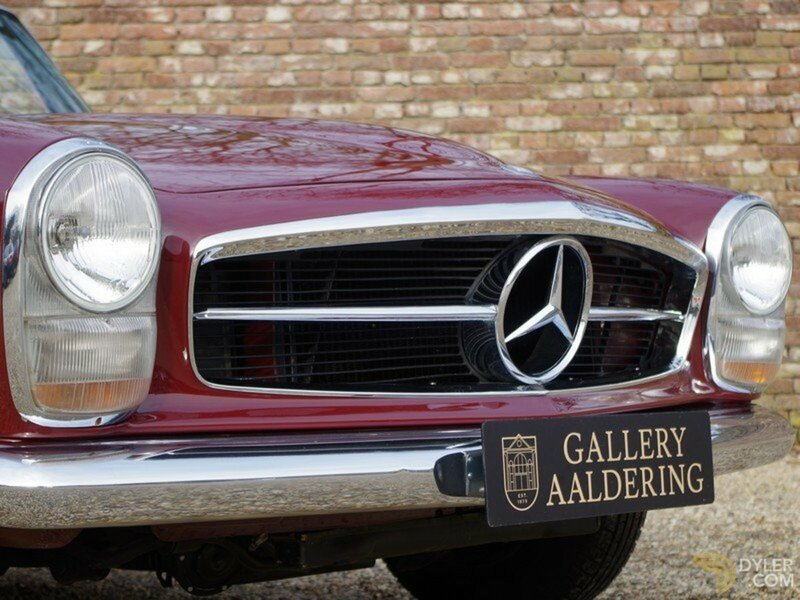 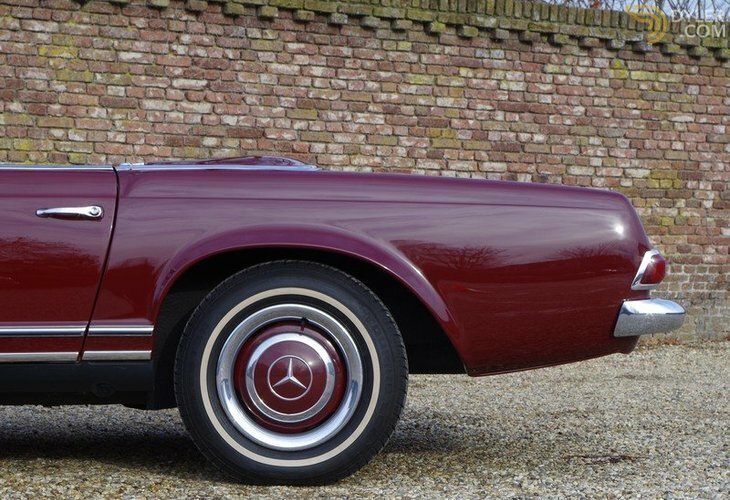 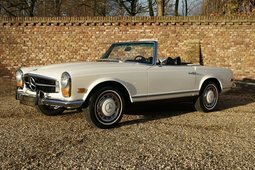 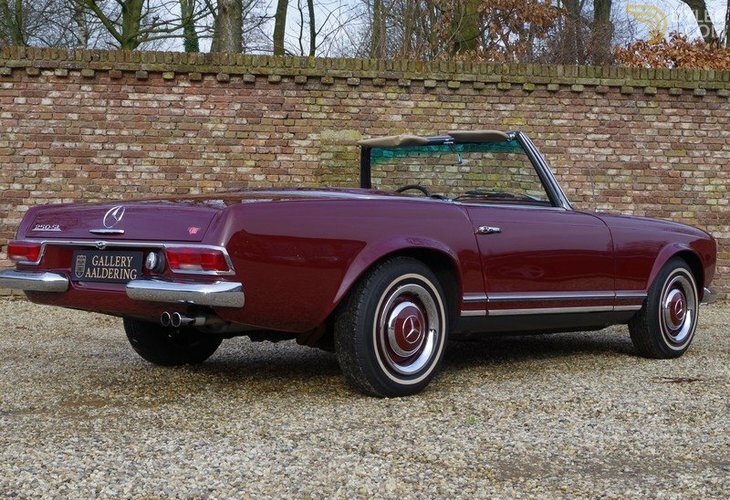 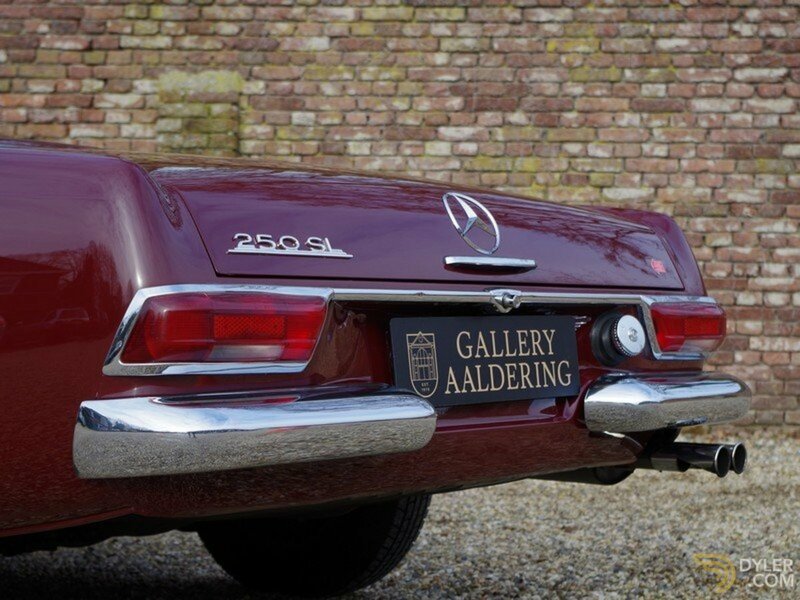 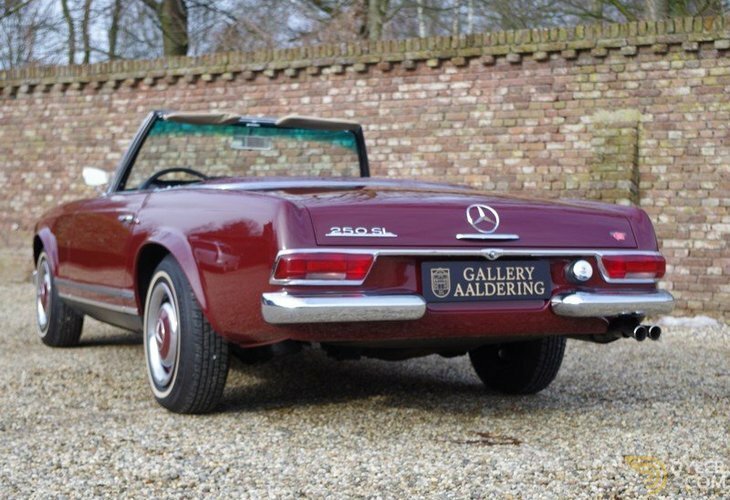 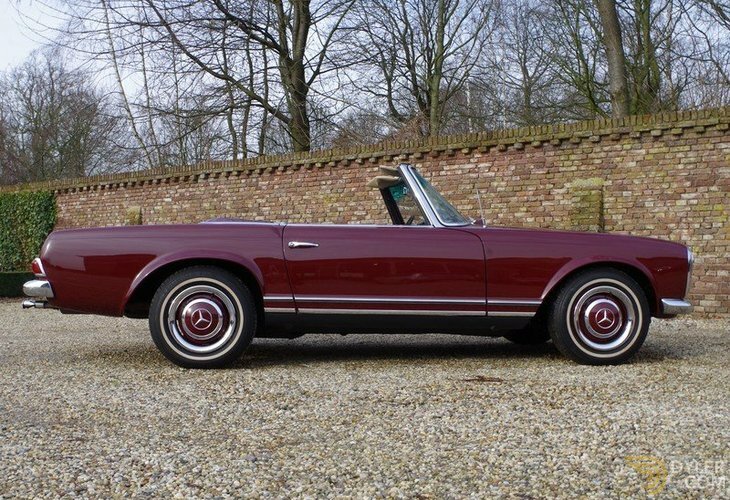 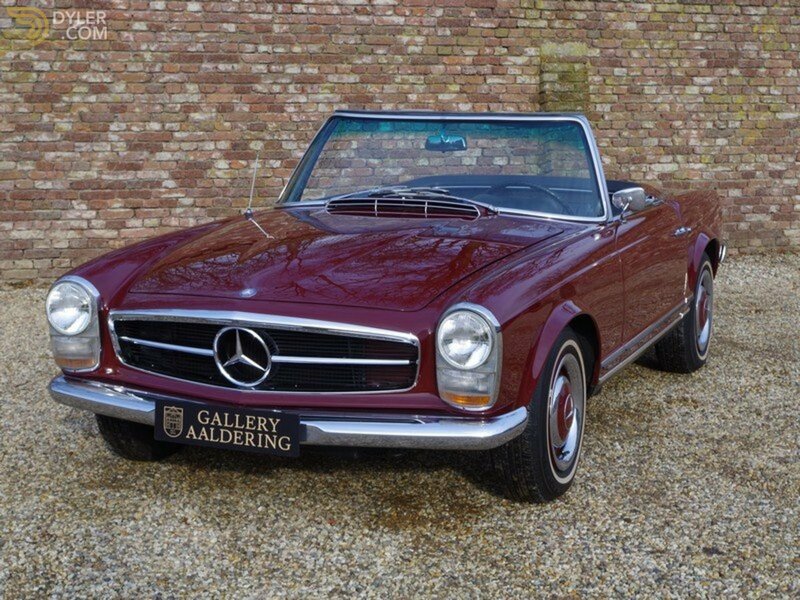 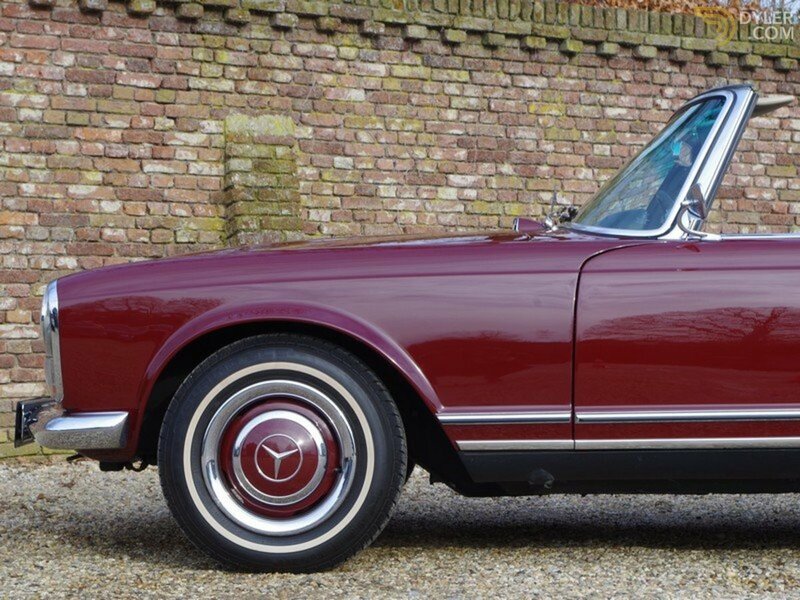 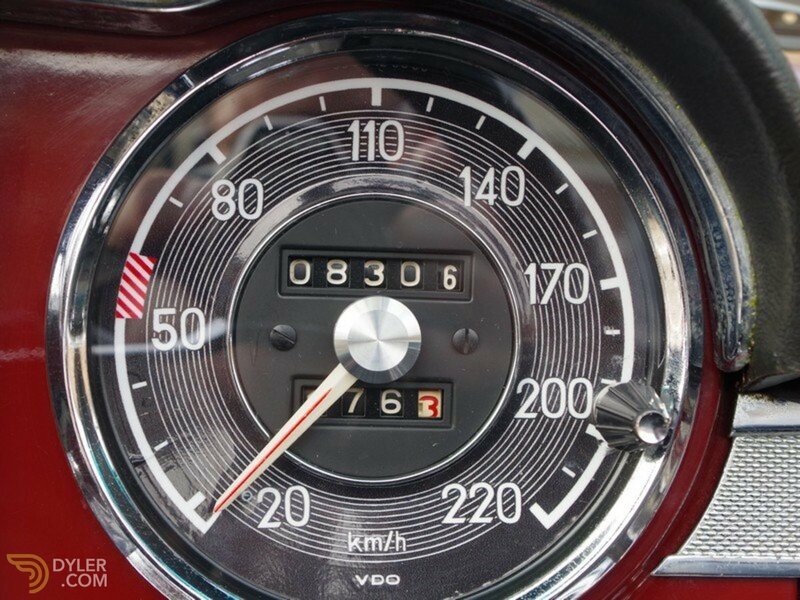 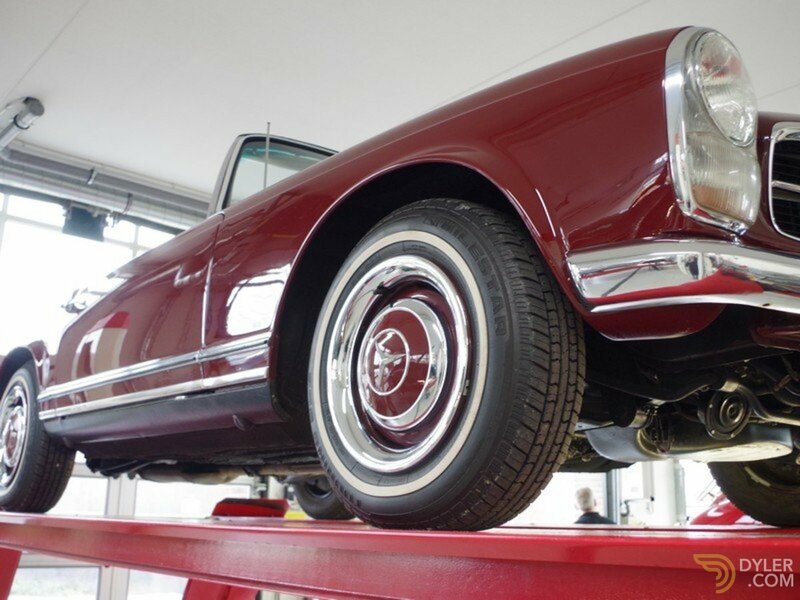 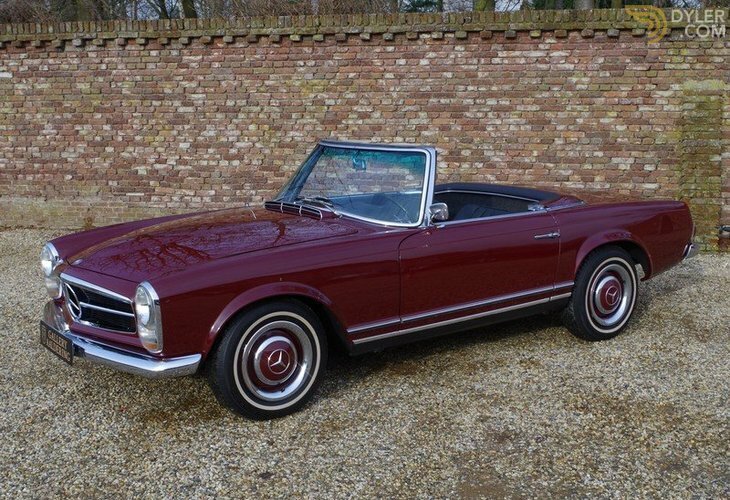 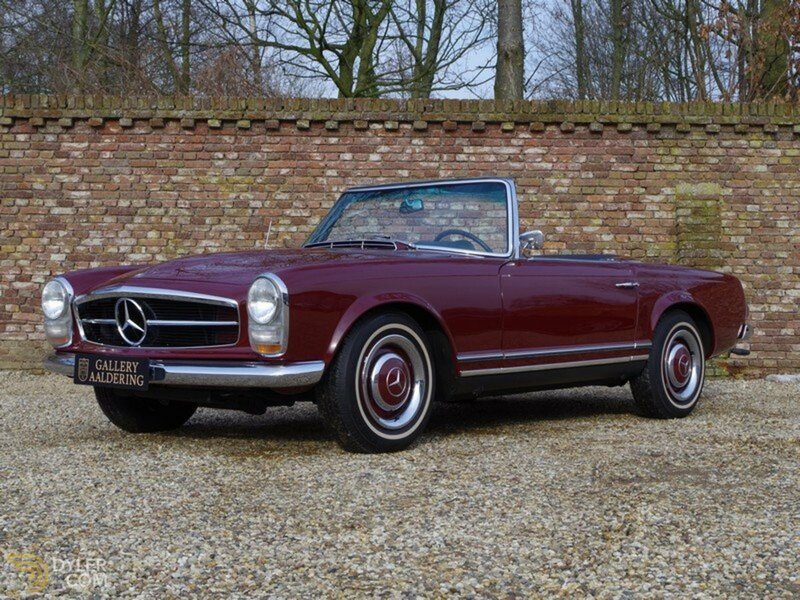 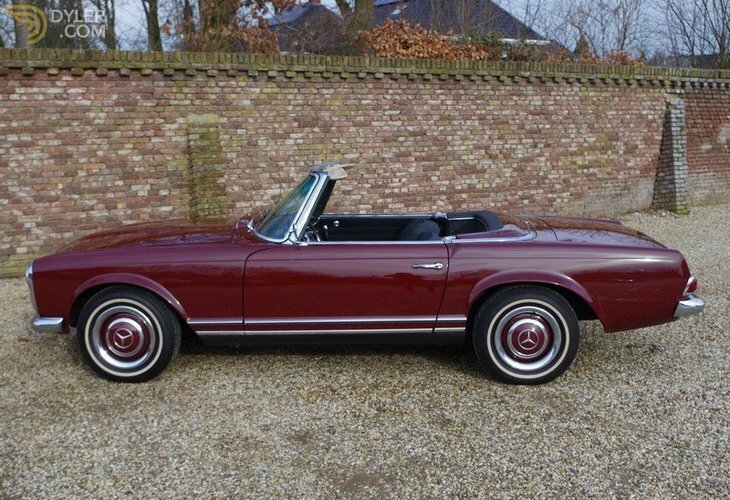 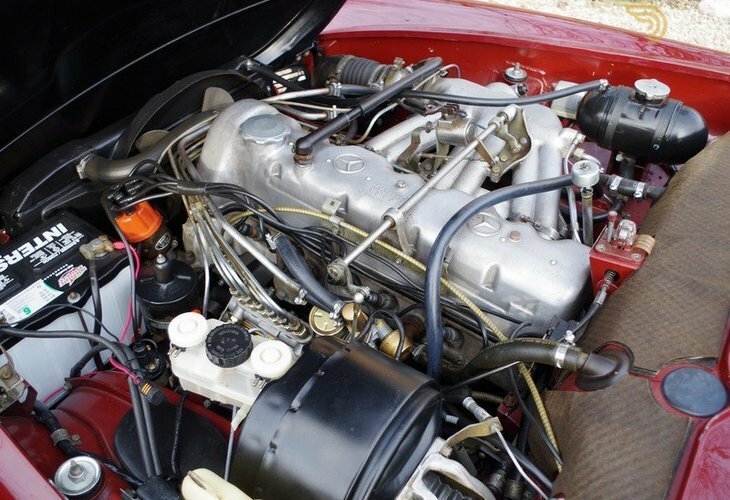 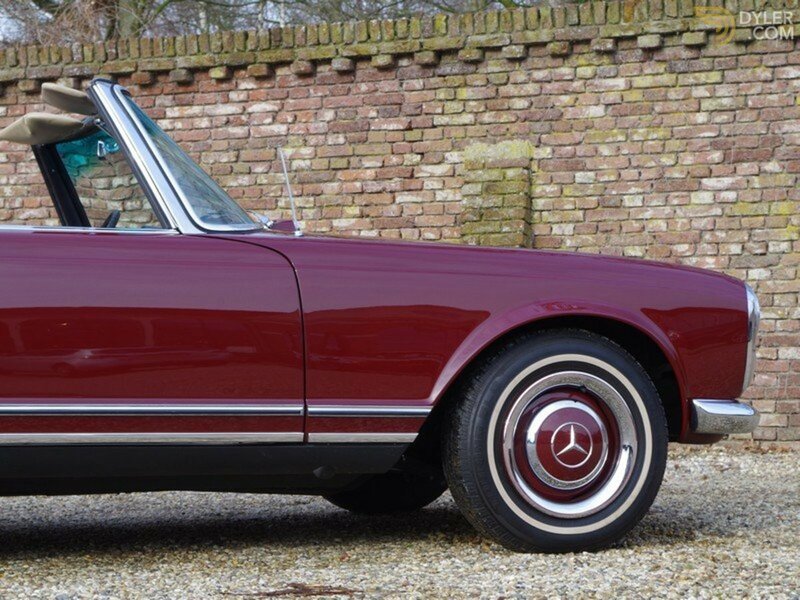 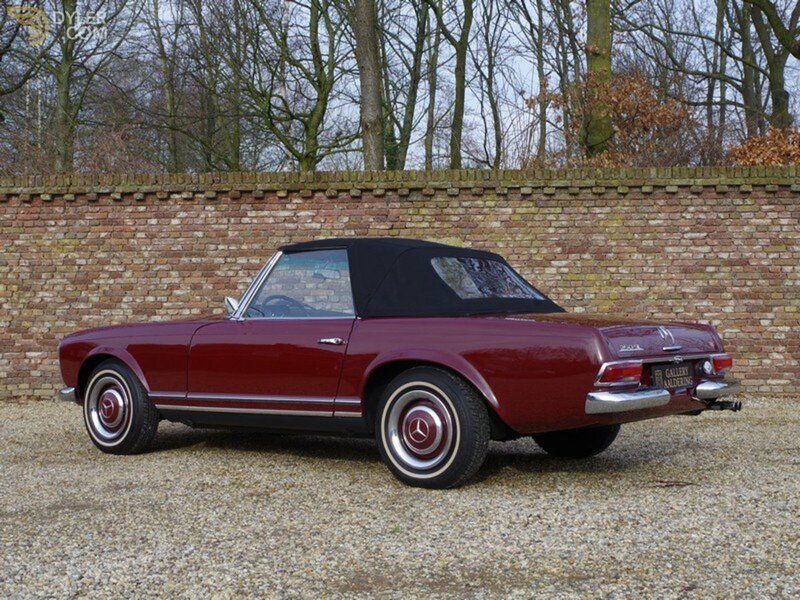 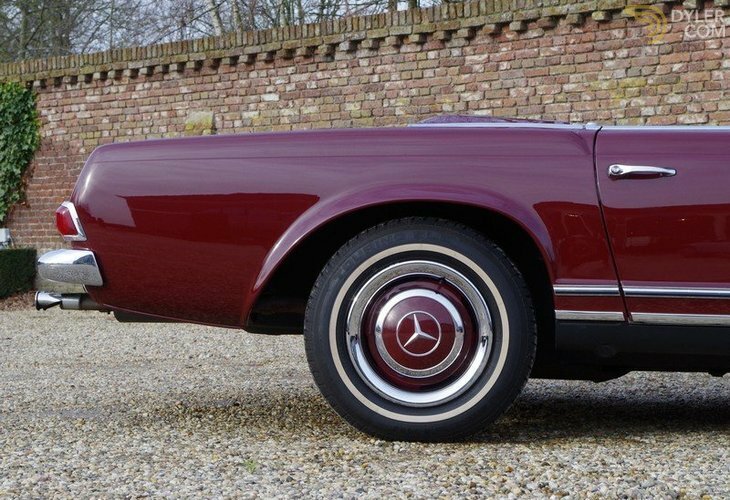 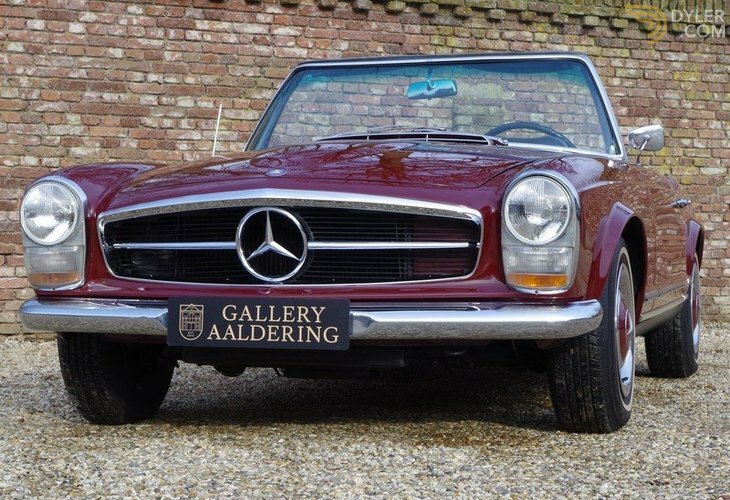 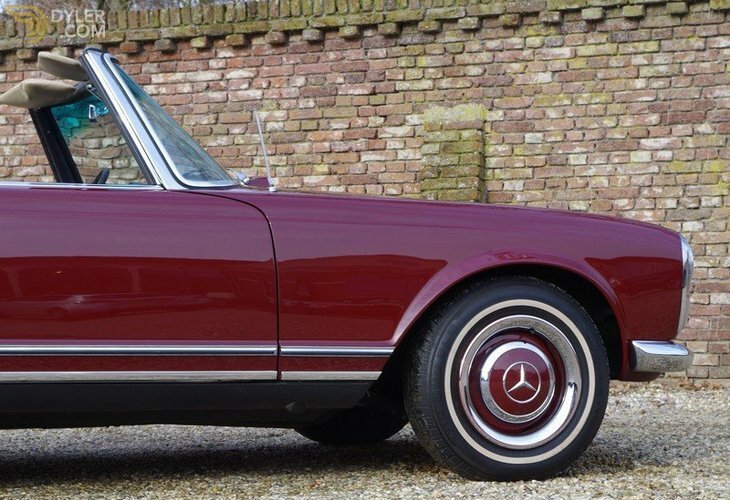 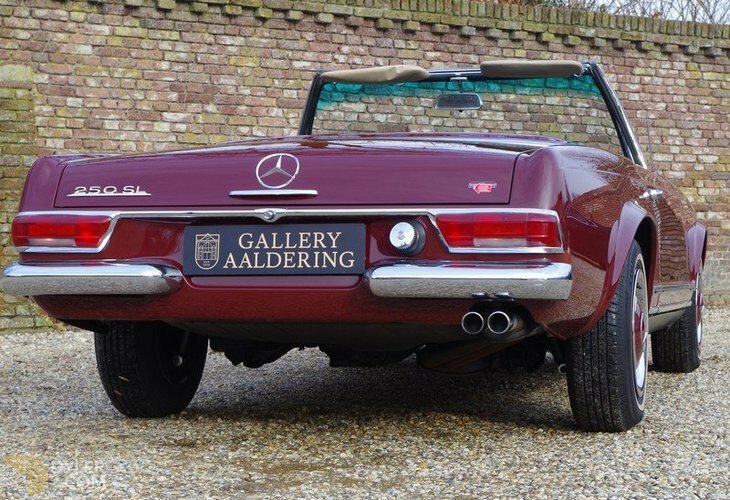 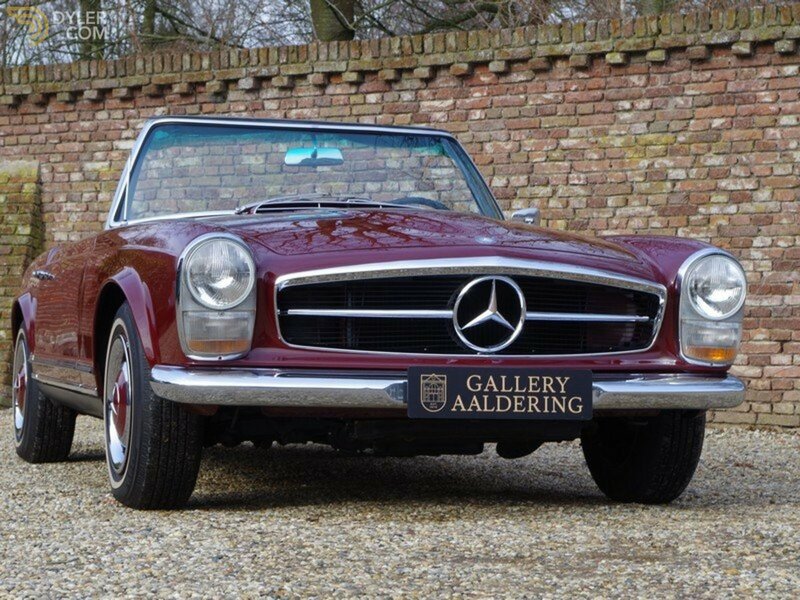 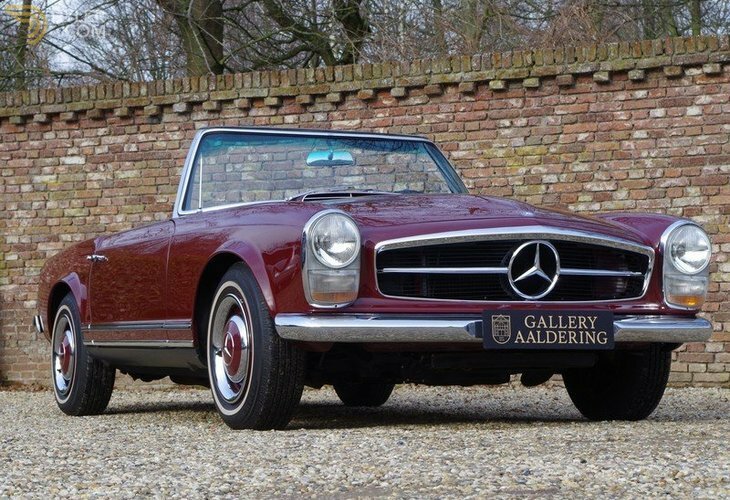 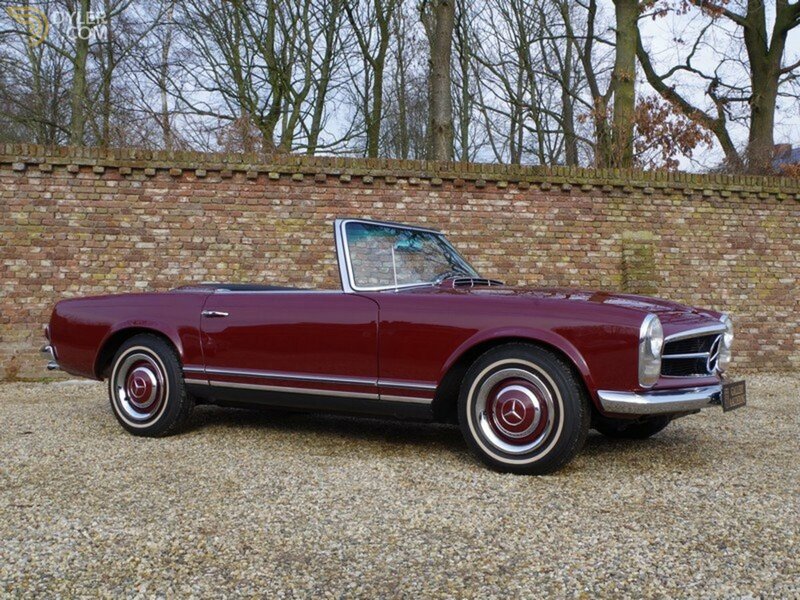 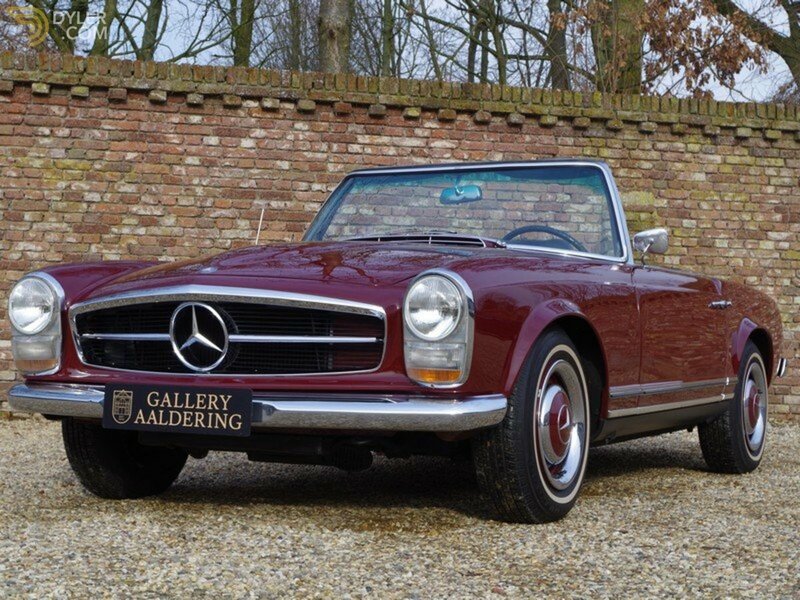 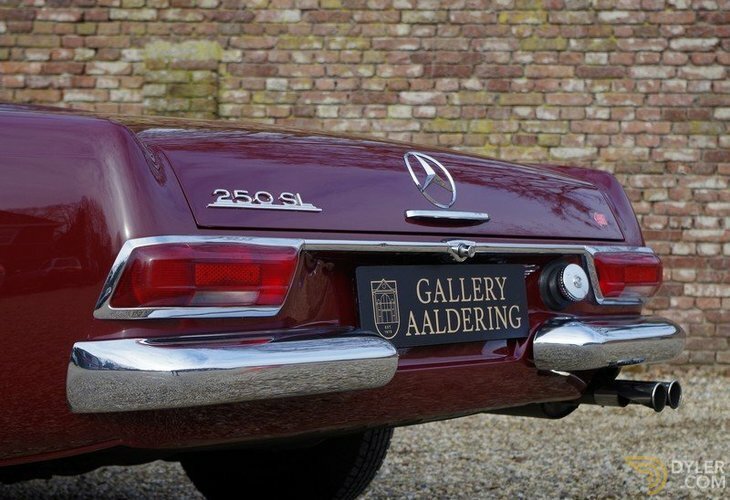 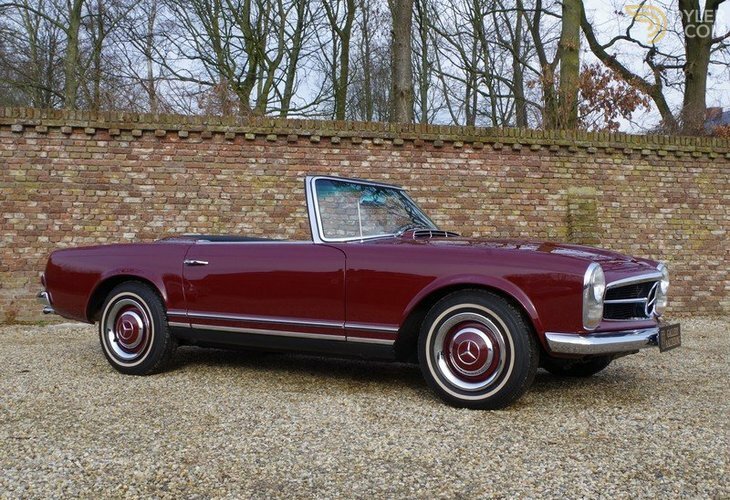 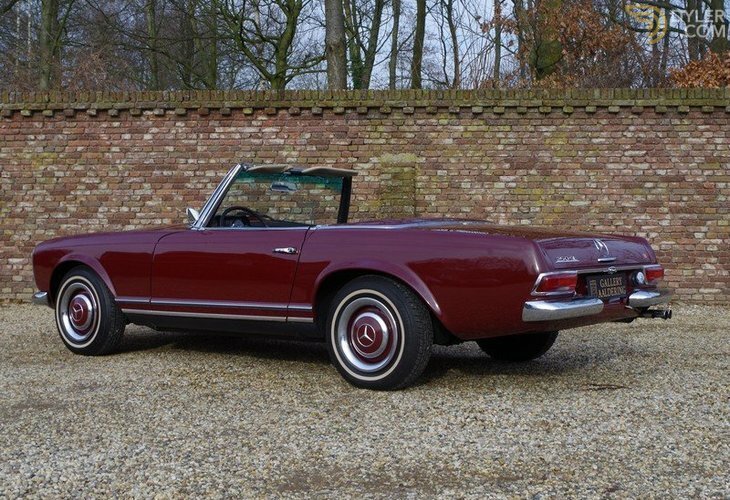 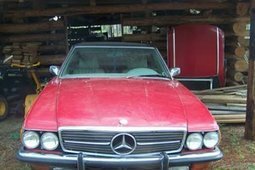 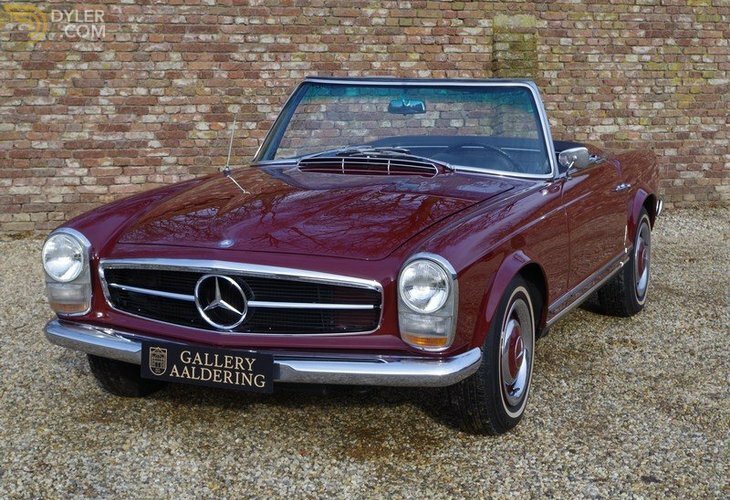 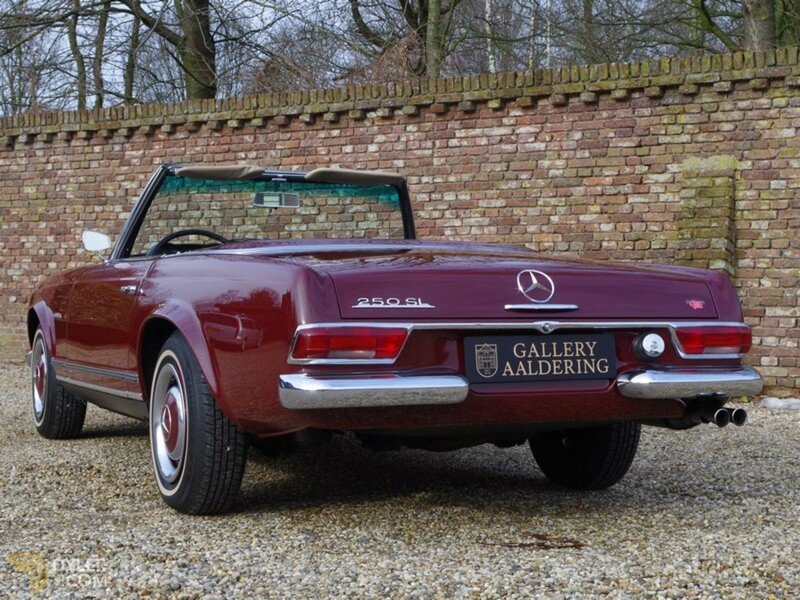 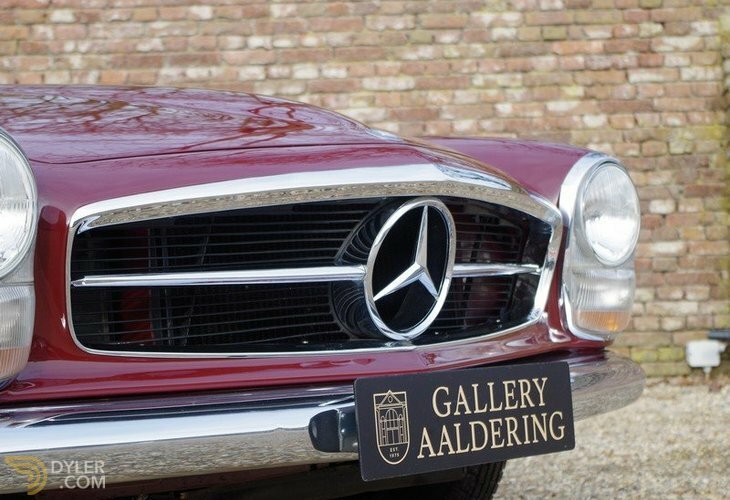 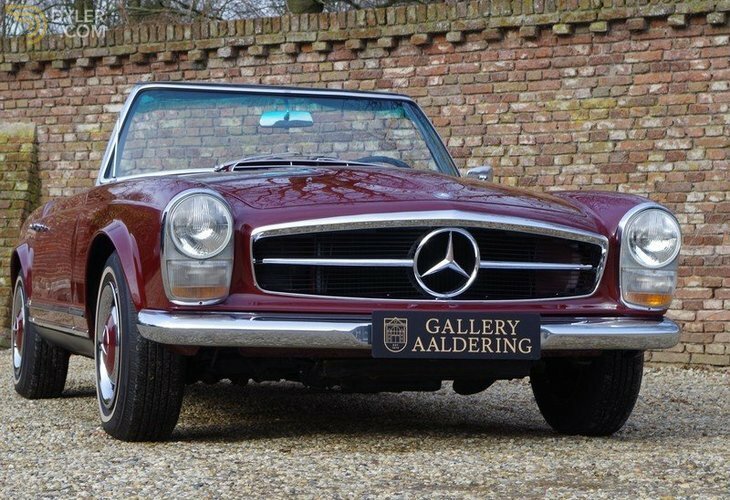 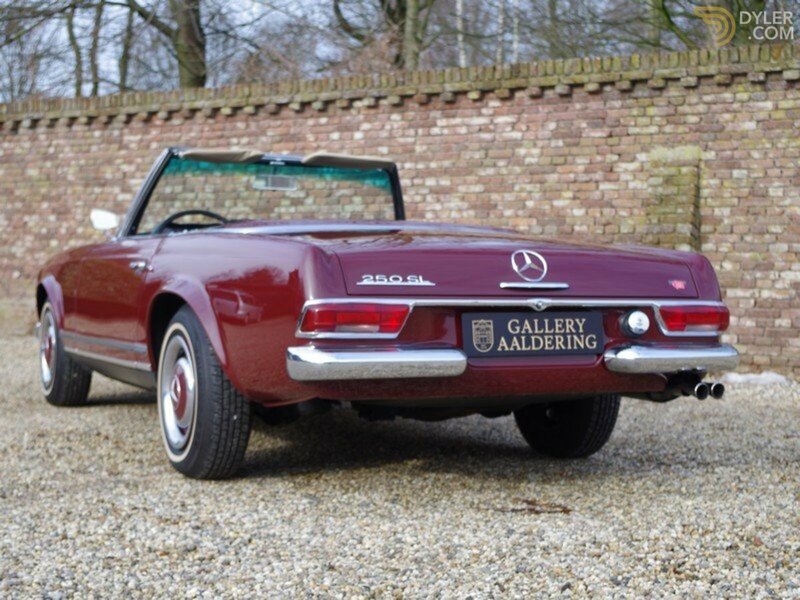 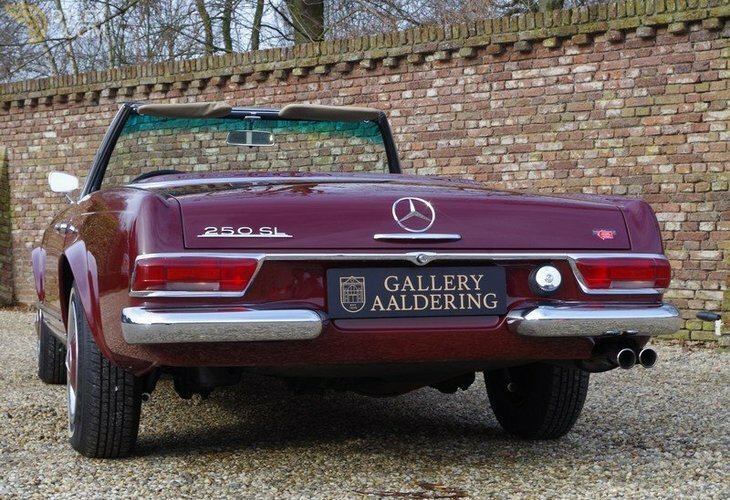 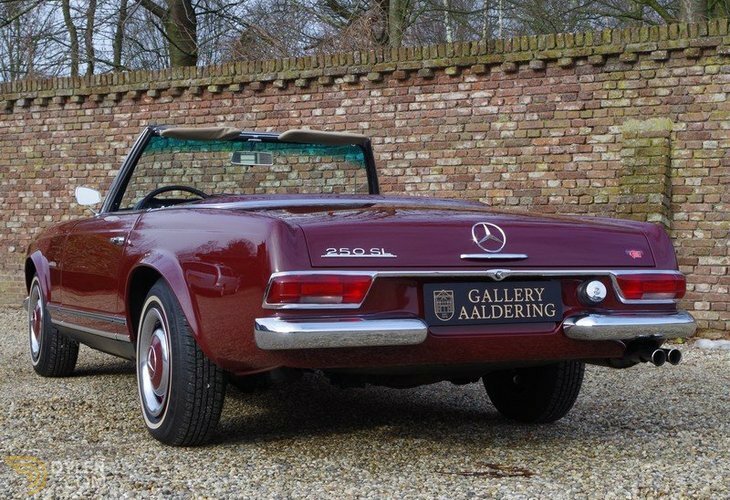 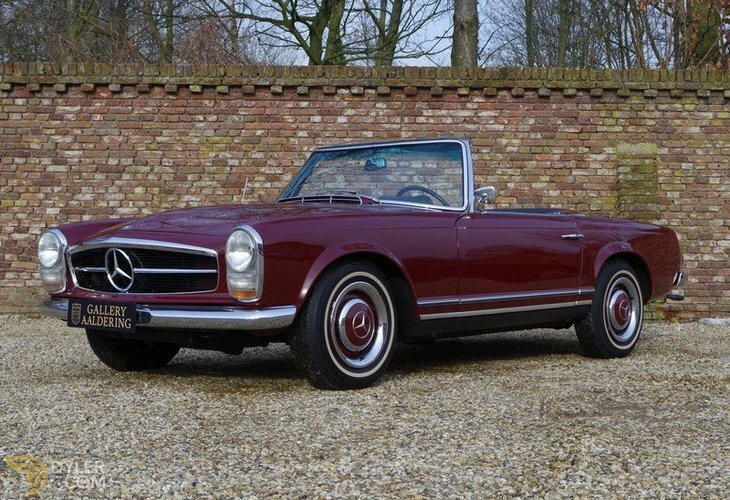 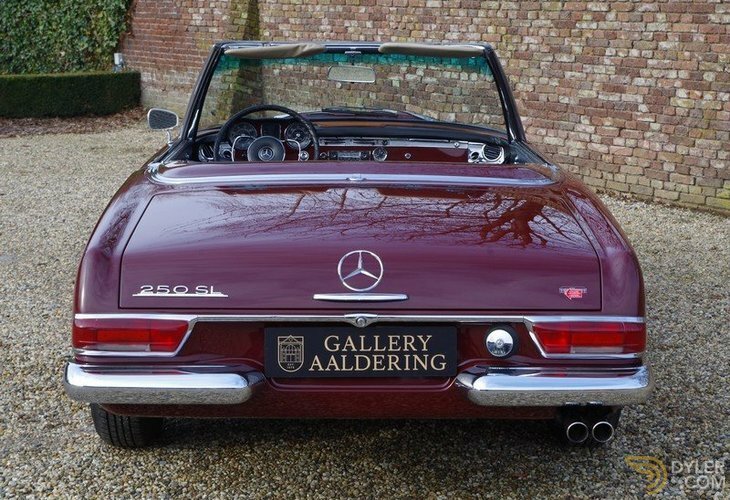 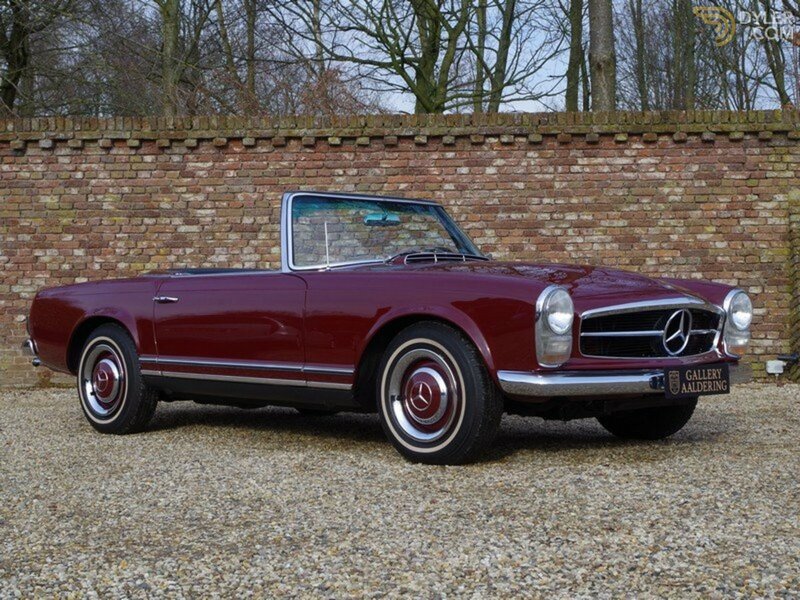 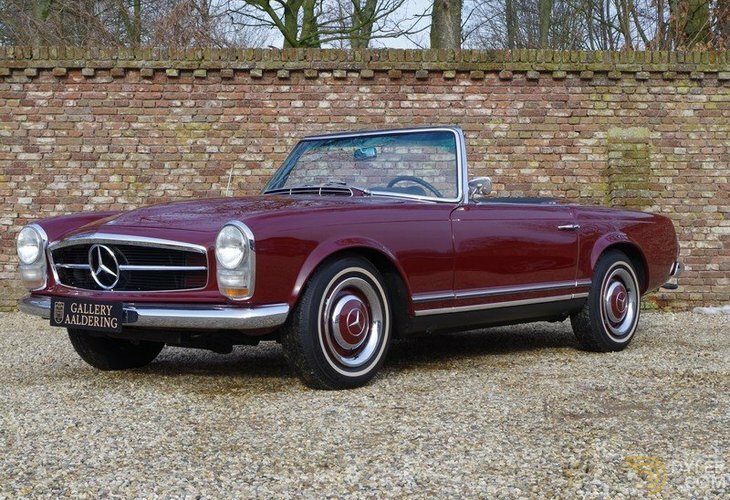 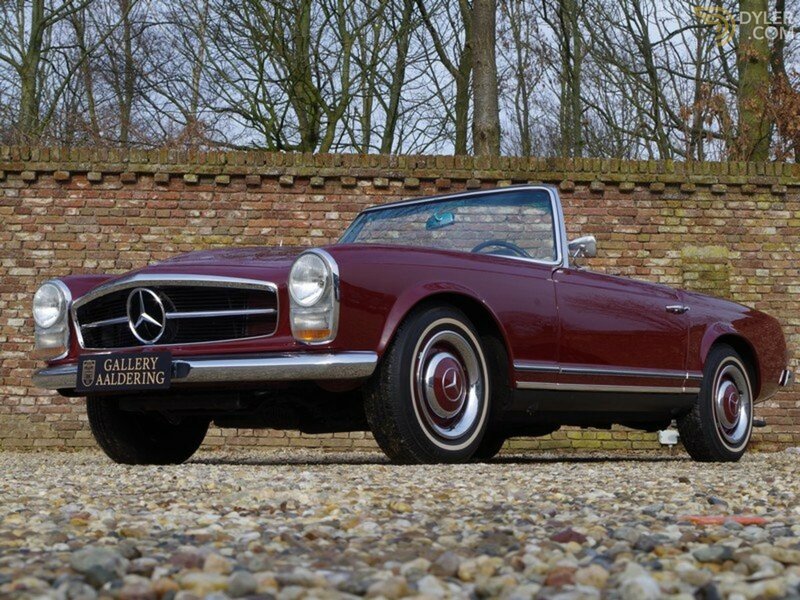 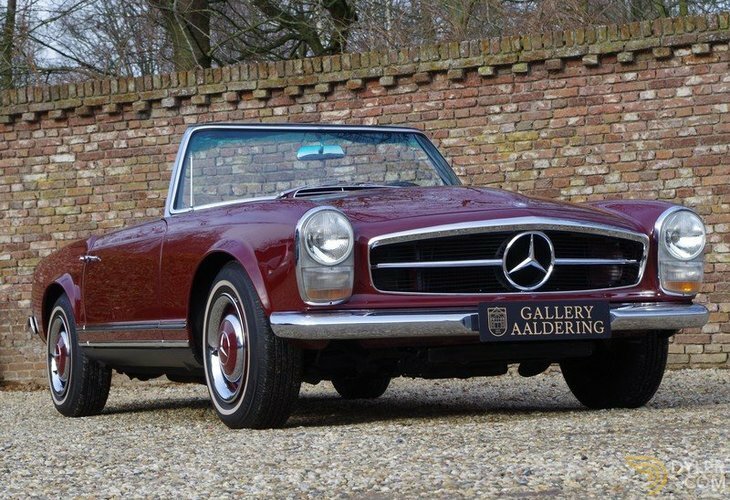 This is a most commendable 250 SL Pagoda with a classy finish to boot!